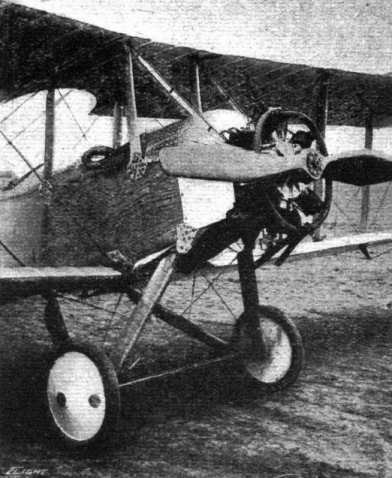 Bristol Scout of the RNAS, with Lewis gun mounted on starboard side of the fuselage. Model of a Bristol scout fuselage by Mr. Lewis E. Richards. Two views of a scale model Bristol, which can be flown, made by Mr. Barrows. Various engine mountings and housings. A"live" combination. - A Martinside biplane and, inset, its pilot and pilot-owner, H. Sykes and C.H. Stevens. Sykes has for some time past been putting up wonderful stunts on this machine. 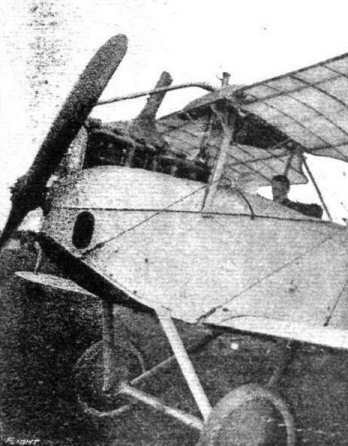 Although bearing the marks of a nasty aeroplane smash experienced early in the year, Stevens was so keen on flying as to buy the machine and learn to fly it under the tutorship of Sykes. AT HENDON. - Mr. H. Hawker visits Hendon on the two-seater Sopwith "Bullet". Entertainment of Wounded Soldiers by the Lord Mayor, Col. Sir Charles Wakefield. - Mr. Harry Hawker, on a Sopwith biplane, giving an exhibition of flying, including looping, at the Karsino, Hampton Court, on Saturday last. WAR IN THE AIR. 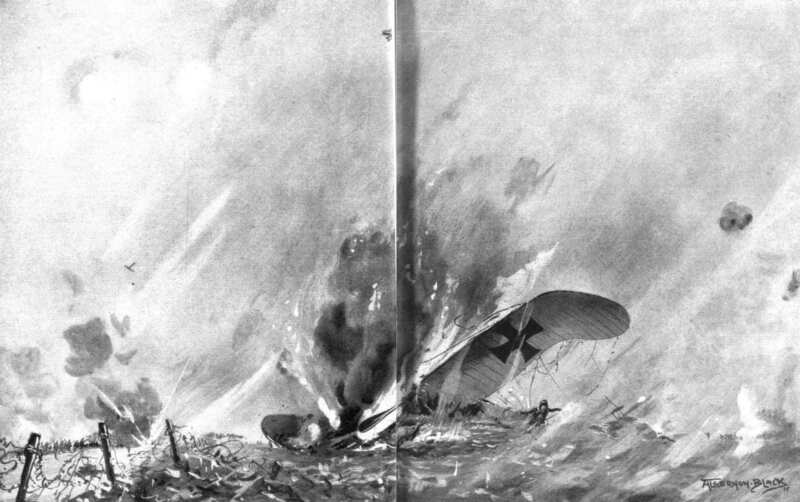 - An attack upon a German A.E.G. 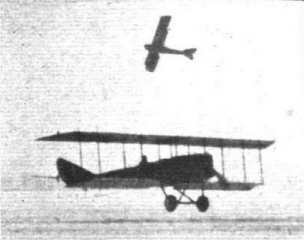 biplane and an Aviatik. The latter subsequently hit and was brought down. 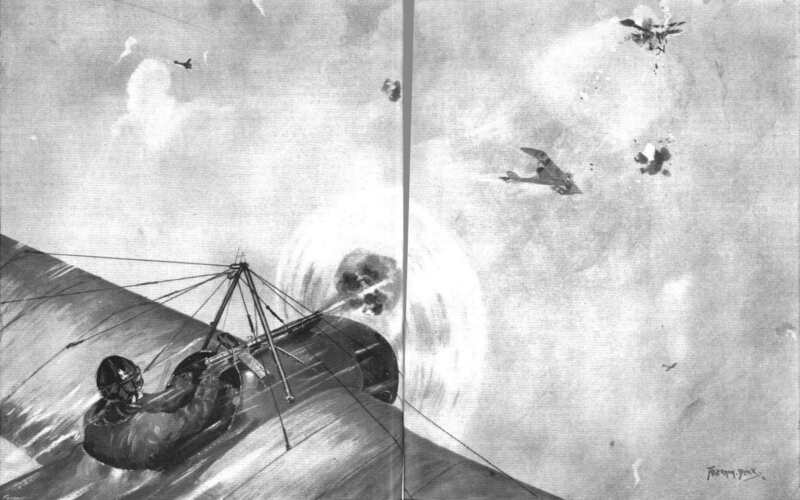 This is but an example of many air fights of almost daily occurence at the Front, this particular incident being one of the "scraps" which Vedrines on his monoplane carried through, when fire machine-gun straight through the propeller field, the propeller being fitted with a deflector for warding off any stray bullets that may not get clear through between the revolving vanes. It is this principle which has been adopted in the Fokker. 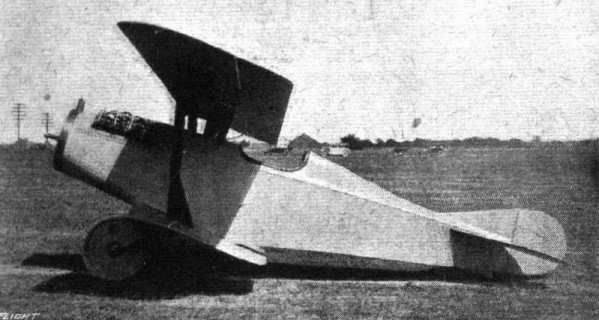 Three-quarter rear view of the Nieuport scouting biplane. The American Escadrille and some of the Nieuport Scouts "somewhere" in France. - Reading from left to right are :- Lieut, de Laage, Sergt. C. C. Johnson (New York), Capt. Lawrence Rumsey (Buffalo), Sergt. J . R. McConnell (Carthage), Lieut. William Thaw (Pittsburgh). Sergt. R. Lufhery (New Haven, Conn.). Sergt. Kiffin Rockwell (Atlanta), Adjt. Didier Masson (Los Angeles), Sergt. Norman Prince (Boston), who has since died from wounds received last week, and Adjt. Bert Hall (Galveston). 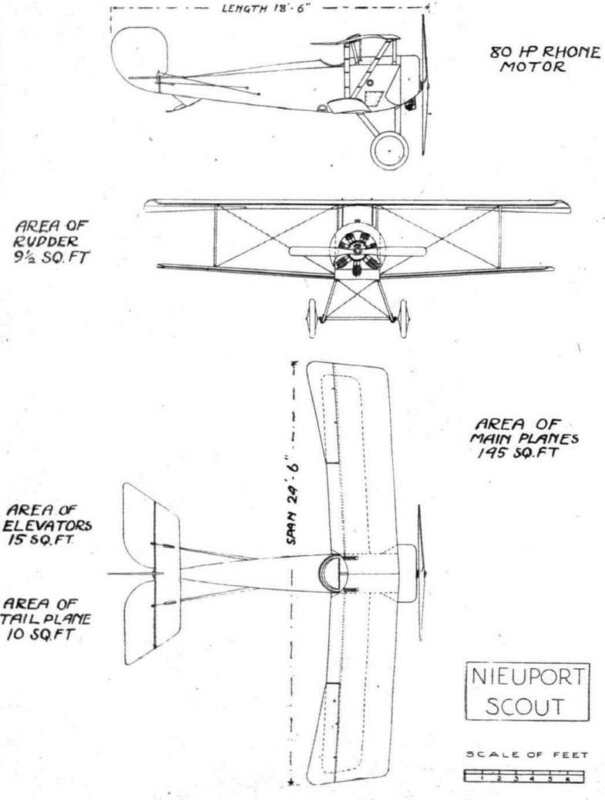 Diagram showing the controls for the ailerons and lower planes on the Nieuport scouting biplane. 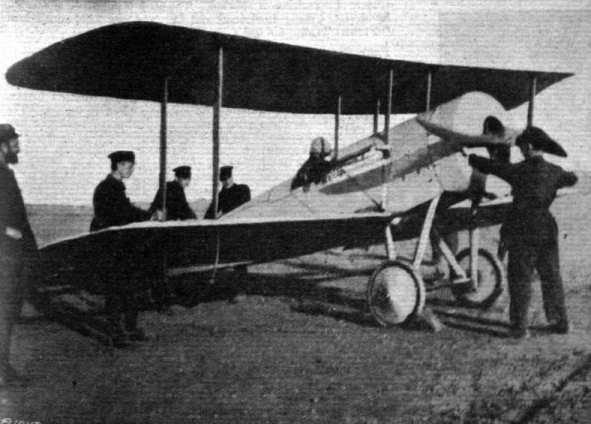 THE NIEUPORT SCOUTING BIPLANE. - Plan, side and front elevation to scale. 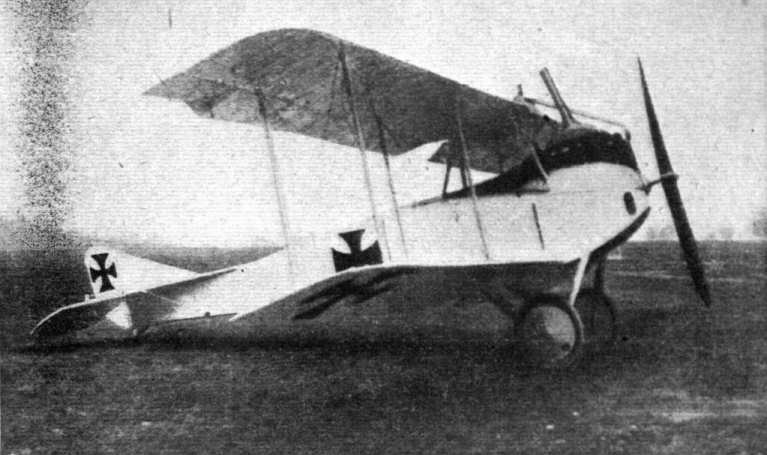 The German Halberstadt single seater, of which a good deal has been heard lately. - This machine, it will be noticed, has Morane type fuselage and tail planes. The large stationary engine is fairly effectively cowled in so as to reduce head resistance. 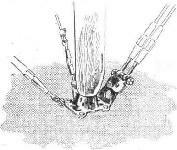 Although being a comparatively small machine it has two pairs of struts on each side, probably necessitated by the large, heavy engine. This is one of the types with which the German pilots are getting some of their own back for our air ascendancy during the past. THE WAR IN THE ITALIAN SECTION. - General Cadorna (the second from the right), who has made several flights since Italy came into the war, in one of our Ally's aeroplanes which has just returned from a raid over the Austrian lines. The nacelle and one of the tractor screws of a Caproni biplane. Standing in front of the machine is Capt. Salomone (with a bandage round his head), who, it will be remembered, returned from a raid on Lublana (Laibach) with both his passengers killed, he himself being wounded in the head. In spite of his wounds he put up a heroic fight against the hostile machines, and did not return until he had fulfilled his mission and dropped his full complement of bombs. In the photo he is seen regarding one of his dead comrades who has not yet been removed from the nacelle. 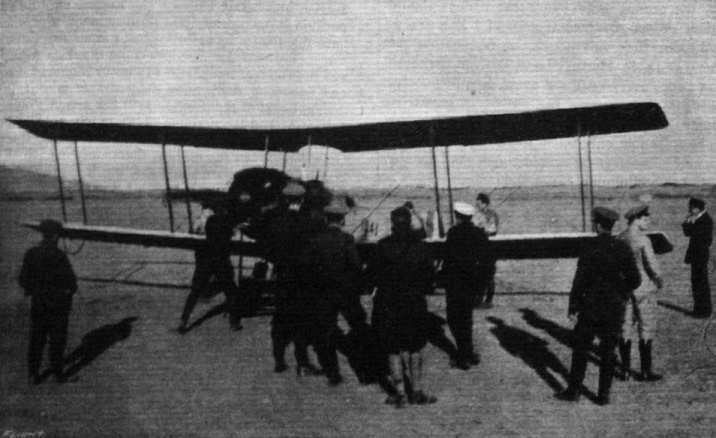 A two-seater Avro about to start for Suvla the day alter the evacuation. On the pilot's return he reported that the Turks were still shelling the empty trenches for all they were worth. Mounting and housing of Vee-type air-cooled engines. Inset in centre, the Renault engine, showing tubular bearers. AT HENDON. - In 19-- it may be that pilots will vol plane into Mitchell's tea gardens for the cup that cheers. The one shown was probably only on a reconnaissance trip. 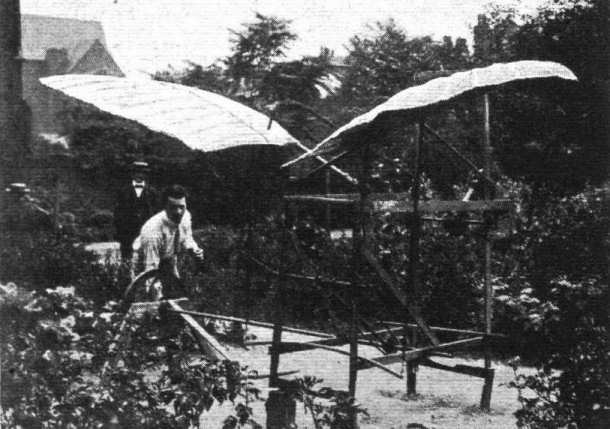 The Bleriot, in the shade of whose wings the tables are set, is that of the late G. Lee Temple. Some snaps of the Lord Mayor's Procession: - 2. 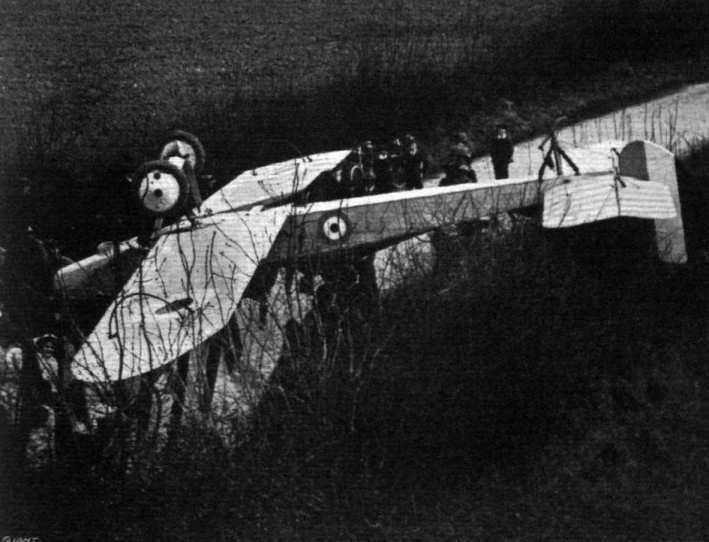 Fuselage of British B.E. Some snaps of the Lord Mayor's Procession: - 3. 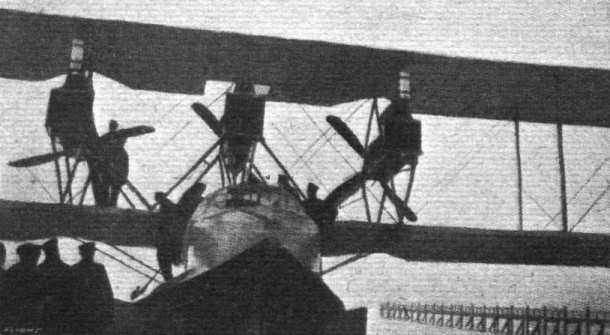 Port-side wings of British B.E. 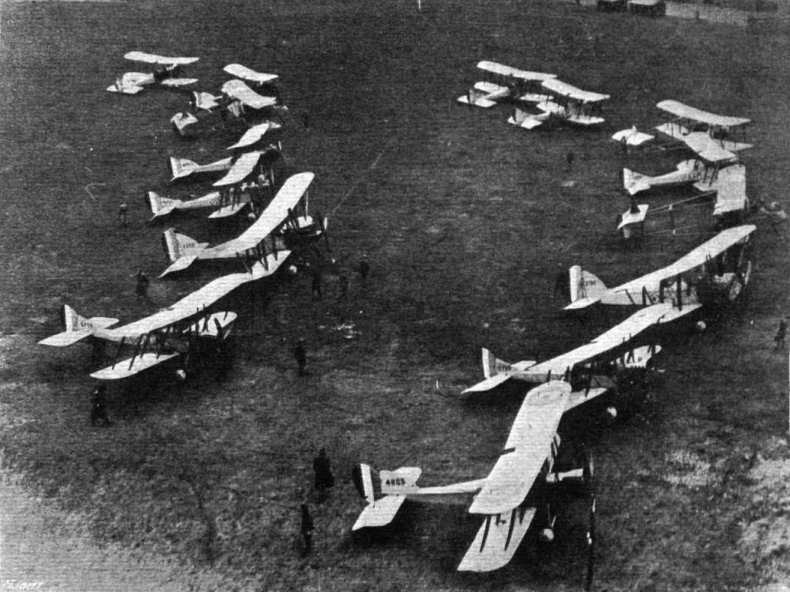 A batch of presentation aeroplanes lined up in England ready to be flown overseas. A CLEAN SOMERSAULT. - An aeroplane mishap near Basingstoke. The machine landed upside down, as will be seen, right across the road. The pilot had a remarkable escape, but being strapped in was absolutely unhurt. 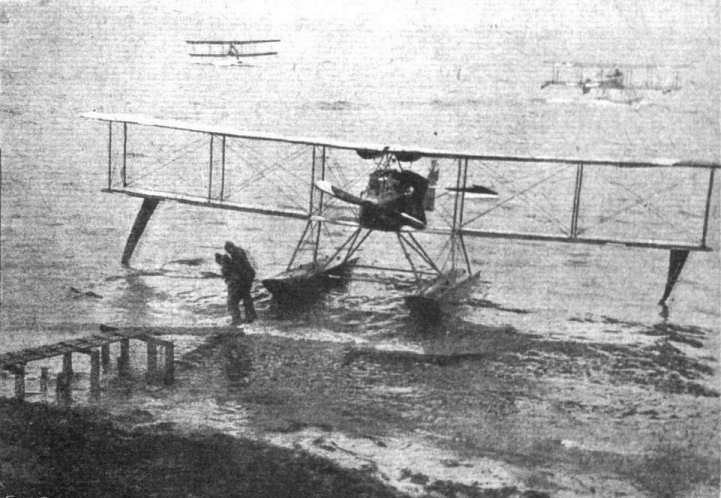 AN AMPHIBIAN BIPLANE. - Owing to the shedding of a landing wheel when getting away at Hendon on Sunday last, the pilot of a reconnaissance machine chose the lesser of two evils, aud brought his mount safely to rest in the Brent Reservoir. Pilot and passenger escaped with what was a welcome ducking, the day being extremely hot, and the machine was towed safely to the side, practically undamaged. 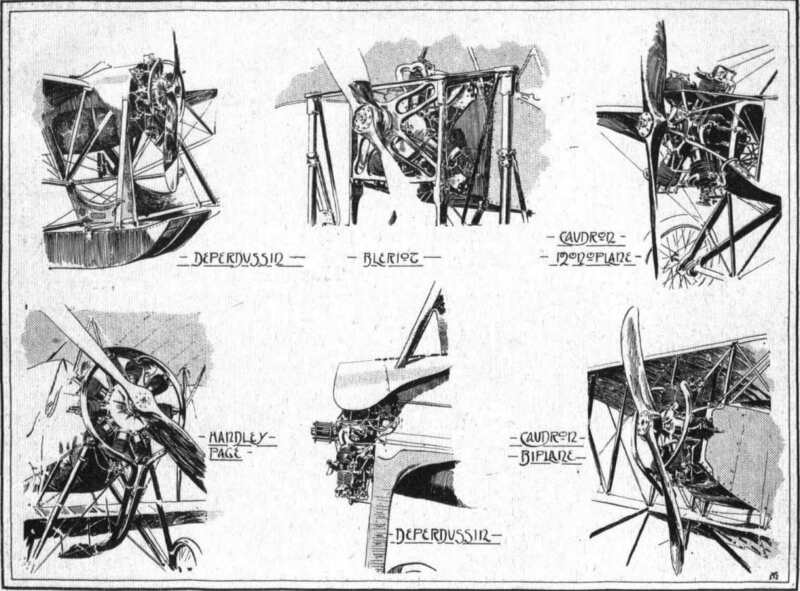 Different mountings and cowls of radial air-cooled engines. 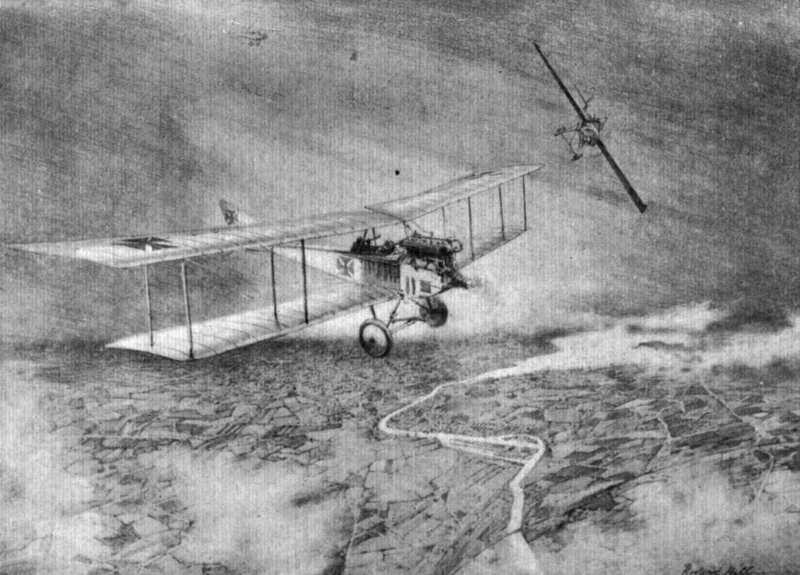 A French aeroplane on a bombing expedition "out yonder." A snap from another flight above the clouds. Some engine mountings ad housings on "pusher" biplanes. 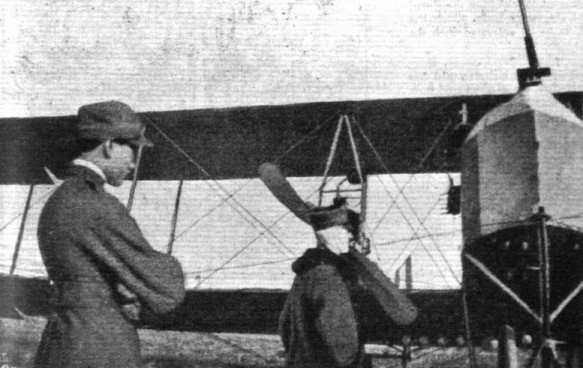 With the re-equipped Serbian Army at Corfu, showing the Serbian Aviation Park and preparing a machine for flight. It is due to the healthy climate of Corfu, the good food and rest in the island, that the Serbian Army has, after its terrible experiences, been brought back into such a splendid condition of health, and has been able to be re-equipped ready to take the field once again. In the Mediterranean with the British Naval Forces. 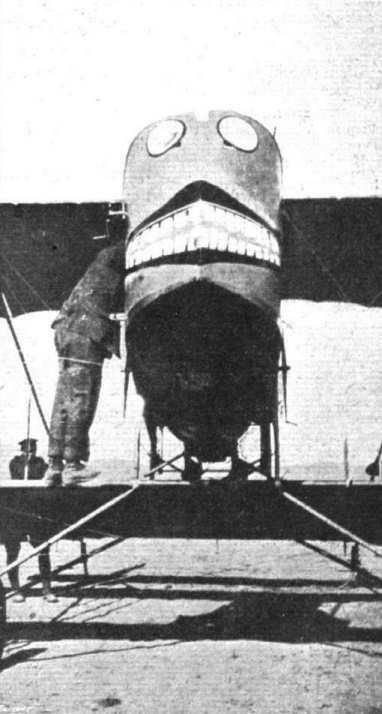 - A grotesque design decorating one of the aeroplanes of the R.N.A.S. The machine on the left is of the older type, with the radiators on each side of the body. 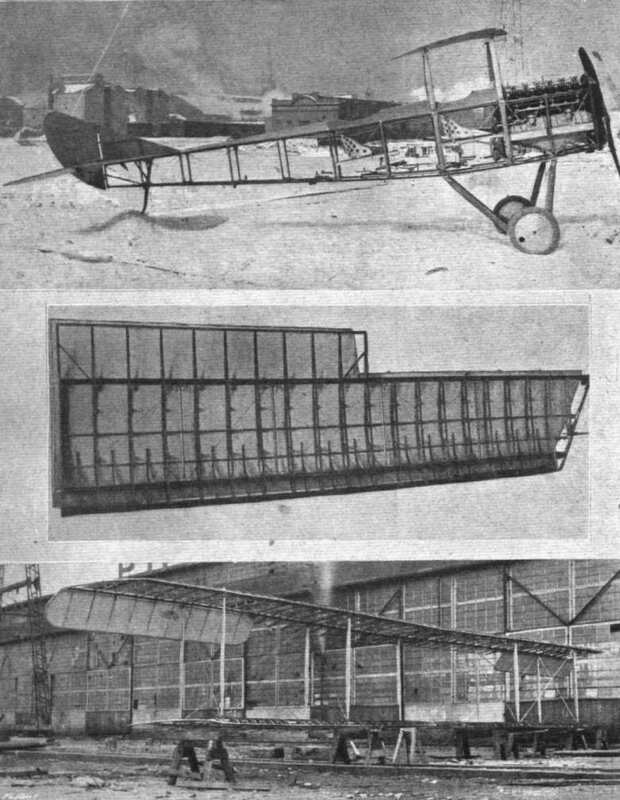 The right hand photo, is of special interest as it shows the body of an Albatros which returned from a fight with Garros with twenty bullet holes through various parts of the fuselage. 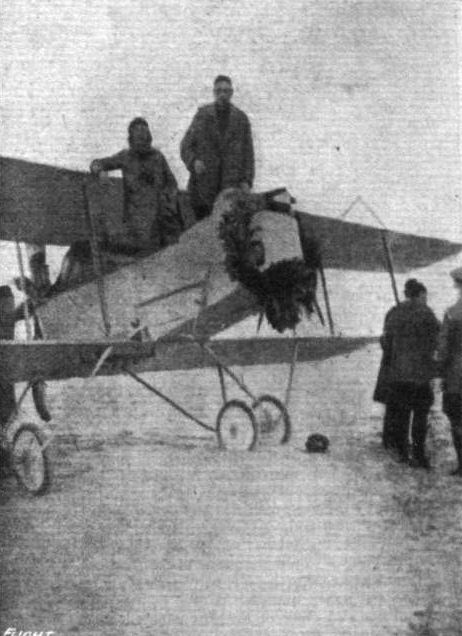 A reconnaissance two-seater, having the radiator mounted above the engine. 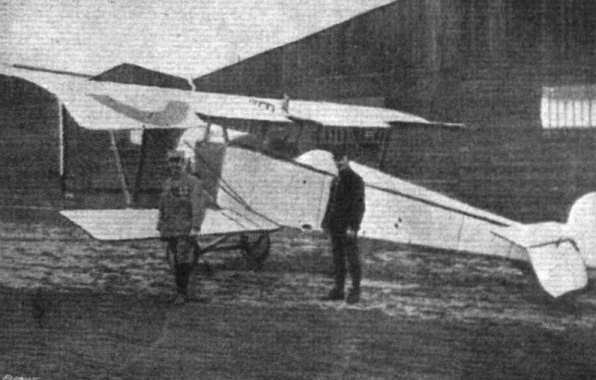 Three-quarter front view of a captured L.V.G. biplane. 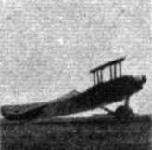 Three-quarter rear view of an L.V.G. 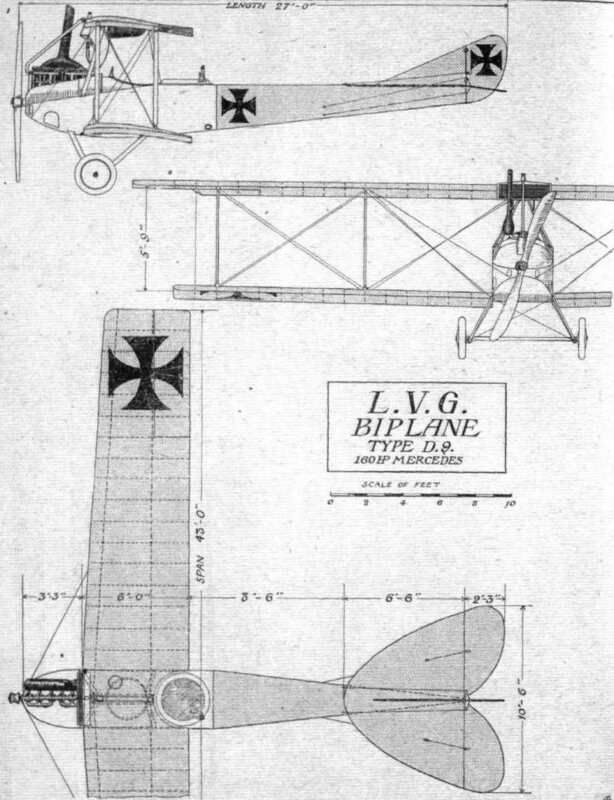 biplane, type D.9. CHASSIS AND ENGINE OF AN L.V.G. BIPLANE. - Note how the radiator is built into the top place. Some snaps of the Lord Mayor's Procession: - 1. Fuselage of captured German LVG. 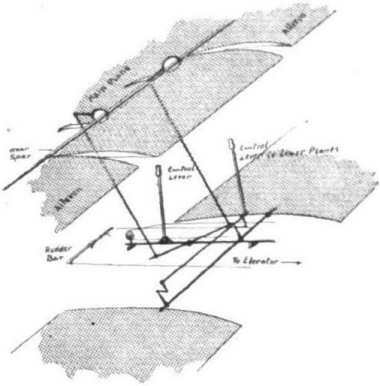 Diagrammatic sketch of the peculiar stepped ailerons of the L.V.G. biplanes. 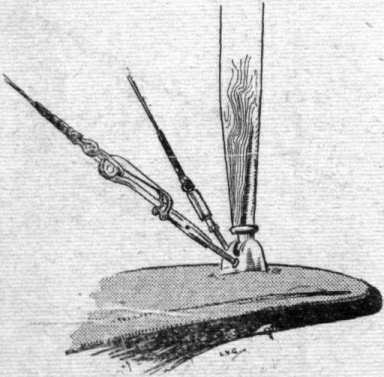 Sketch showing attachment of struts to body rails in the L.V.G. biplanes. 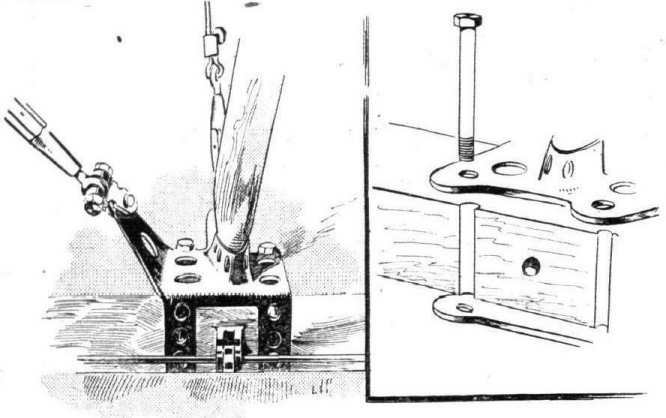 Inter plane strut socket and quick-release device on the L.V.G. biplane. 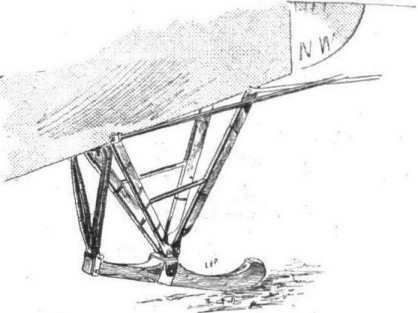 The quick release device employed in the wing bracing of an L.V.G. biplane. The R.A.F. 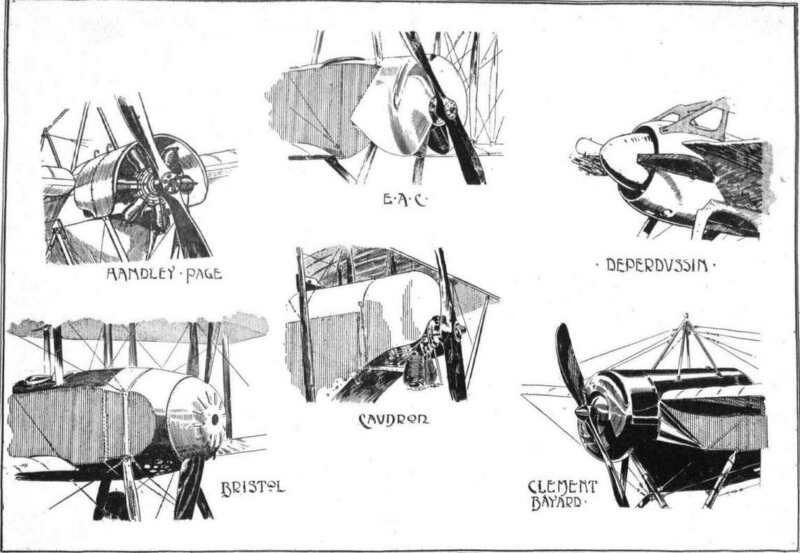 S.E.4 single-seat reconnaissance machine, illustrated in Mr. F. W. Lanchester's new work, "Aircraft in Warfare." Three-quarter view from the back. The R.A.F. type S.E. 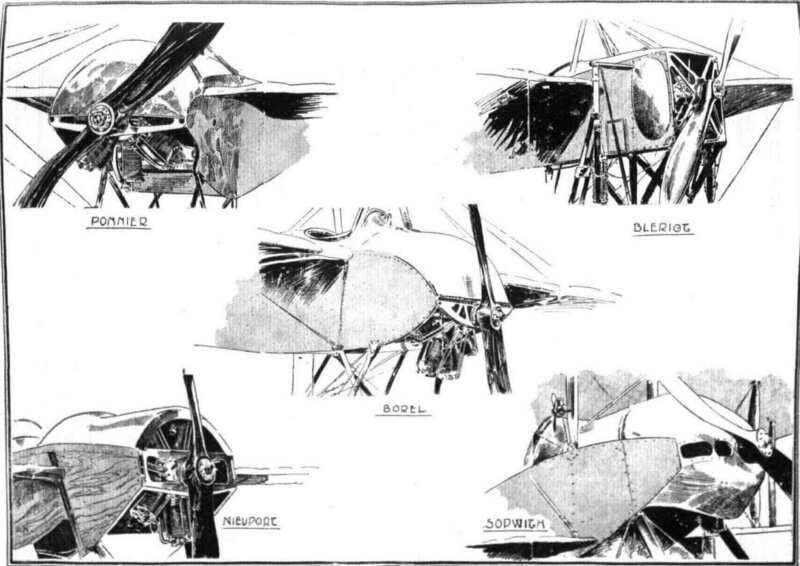 4 single-seat reconnaissance machine, one of the Illustrations From Mr. F. W. Lanchester's new work, " Aircraft in Warfare." 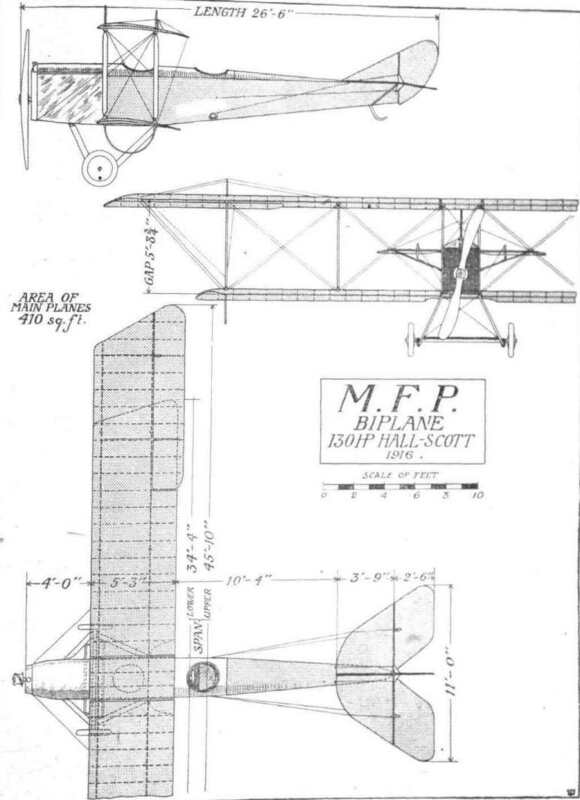 SCALE MODEL MADE BY MR. W. M. BUNCE FROM "FLIGHT" DRAWINGS - Sopwith Tabloid. 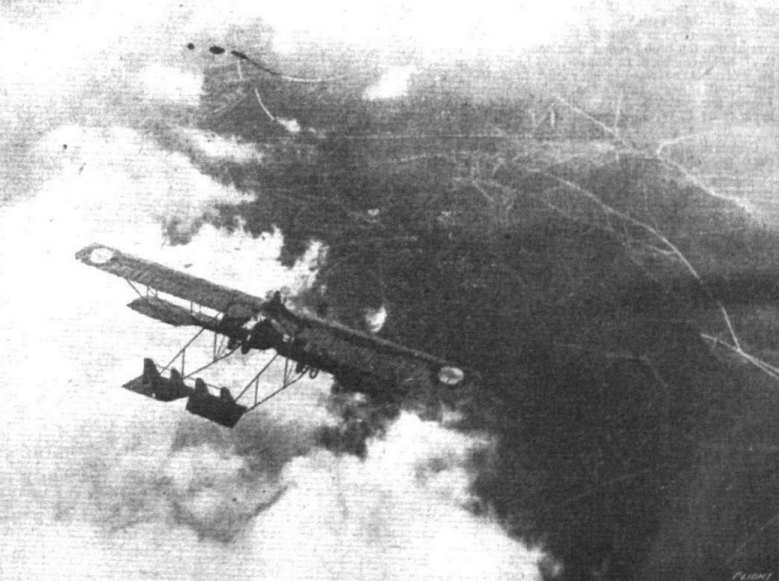 A French Morane monoplane engaging a German battleplane. 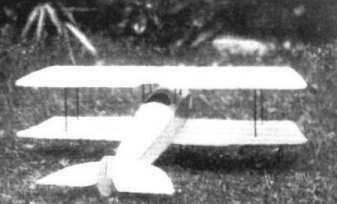 SCALE MODEL MADE BY MR. W. M. BUNCE FROM "FLIGHT" DRAWINGS - Nieuport. 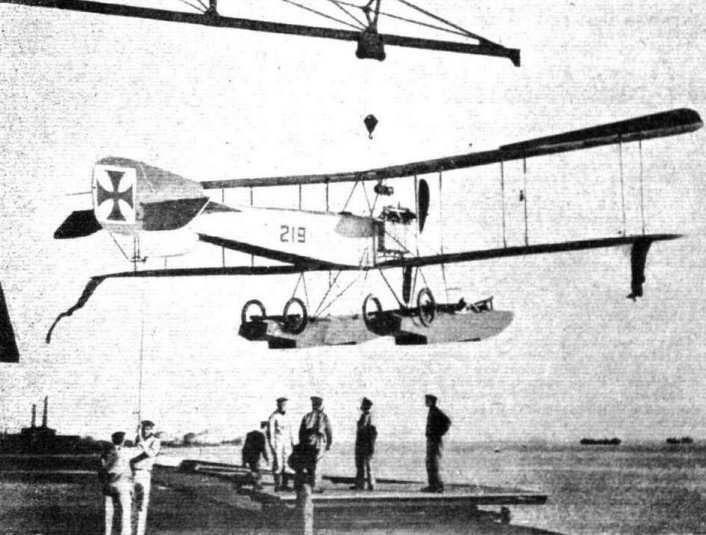 LAUNCHING A GERMAN SEAPLANE. - Before the war a good many attempts were made by German constructors at producing a combined wheel and float undercarriage so as to enable machines to start from or alight on either land or sea. 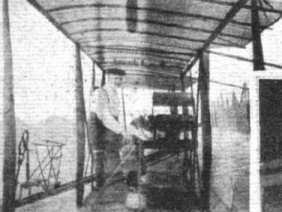 In the above photograph, however, the wheels and tackle on top of the floats appear to be detachable to be used probably for running the machine short distances over land, and left behind when she takes the water. 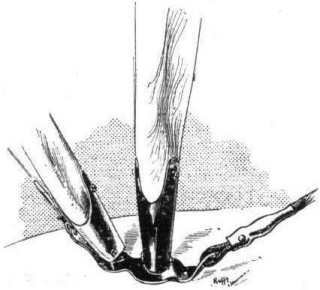 The floats, it will be observed, are of the two-stepped type, the first two sections being flat-bottomed, while the portion behind tbe rear step has a Vee bottom. 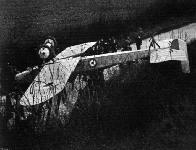 The flags on the lower wing tips are in all probability fitted to a cable, and movable for signalling purposes. OFF! 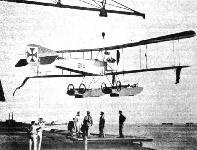 - A German (Gotha) seaplane starting on a reconnaissance flight. 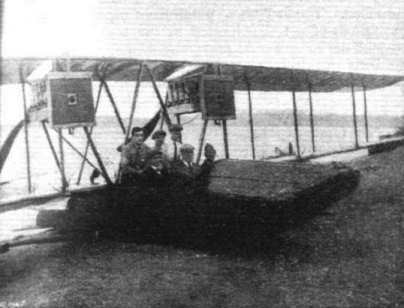 Note the long stepped floats which project backwards to a point considerably behind the pilot's seat. A Modern Battle-Cruiser of the Air. 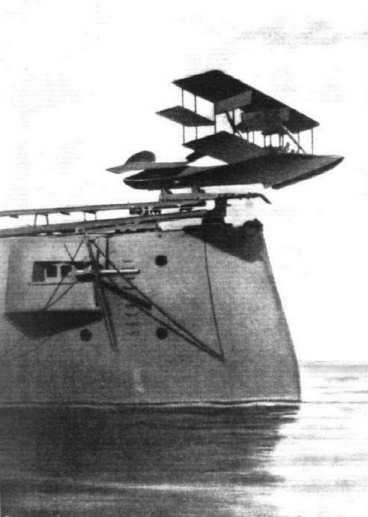 - The Curtiss "Super-America" flying boat, which is capable of rising from, and alighting on, very rough seas. It is equipped with three high-powered Curtiss motors. Front view of the Curtlss "Super America" flying boat, which carried eight passengers during her trial tests at Newport News, Virginia. A Curtlss flying boat of the "Super America" type, presented by Mr. Glenn Curttss to the American Coast Guard, who will employ it for "spotting" and reporting the location of derelicts. 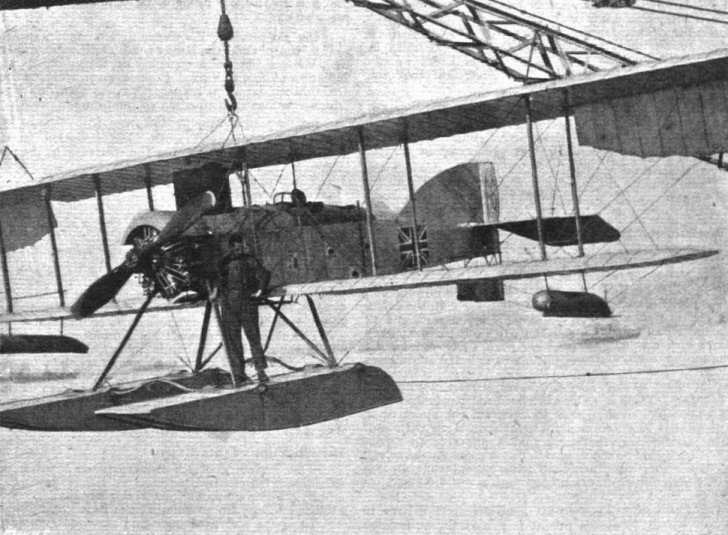 Launching a seaplane from the deck of the U.S. armoured cruiser "North Carolina". 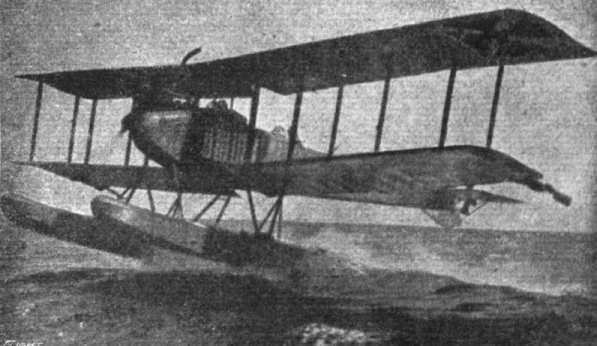 THE ASHMUSEN AEROMOTORS IN ACTIVE SERVICE. - View of the Stephens flying boat with 12-cyl. plant. 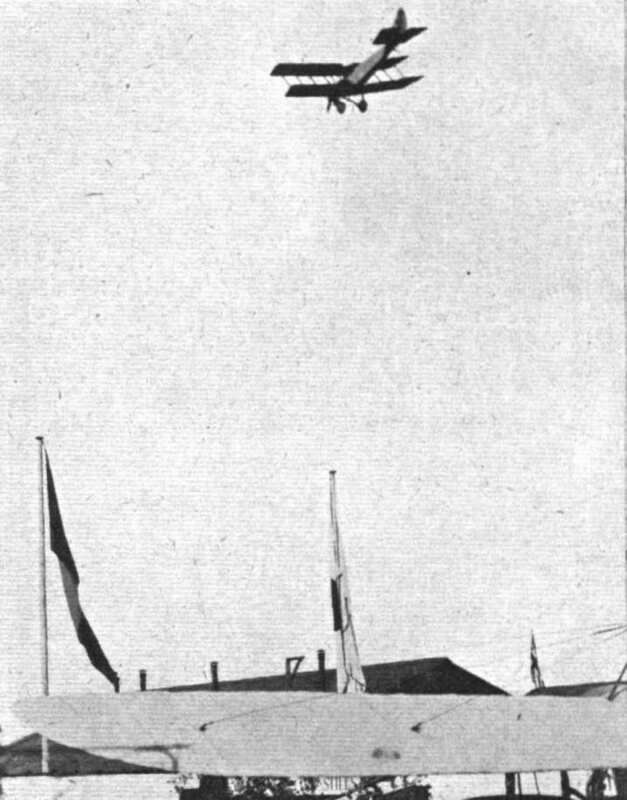 THE ASHMUSEN AEROMOTORS IN ACTIVE SERVICE. - The original 8-cyI. 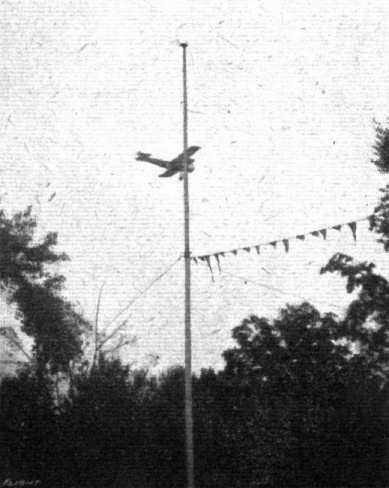 plant installed in a Curtiss-type pusher biplane. The "baby" tractor has a span of about 20 ft. and is expected to develop a speed of somewhere in the neiborghood of 100 m.p.h. At the Atlantic Coast Aeronautical Station at Newport News, Virginia. 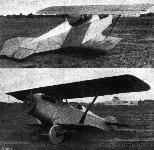 Three-quarter rear view and three-quarter front view of the new Curtiss "wireless" scout. 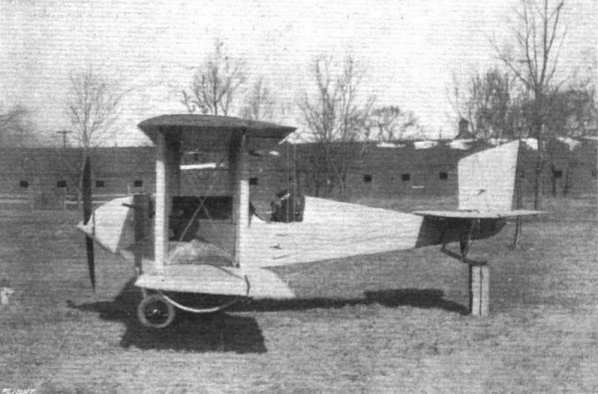 Side view of the Curtiss (Type S-2) "wireless" scout. 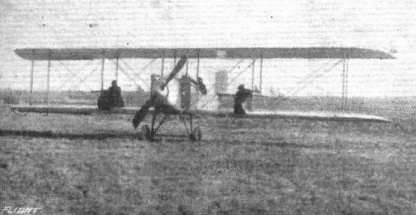 The latest Curtiss speed scout - a triplane - four of which have been ordered by the U.S. Army. Briefly, the dimensions are: Span, 25 ft.; overall length, 18 ft.; chord, 24 ins. ; gap, 28 ins. ; gross weight with fuel and water, 1,060 lbs. ; speed, 120 m.p.h. ; climb, 10,000 ft. in 10 mins. It is fitted with a Curtiss OXX-2 motor, streamline wiring is used throughout, and the shock-absorbers are also streamlined. 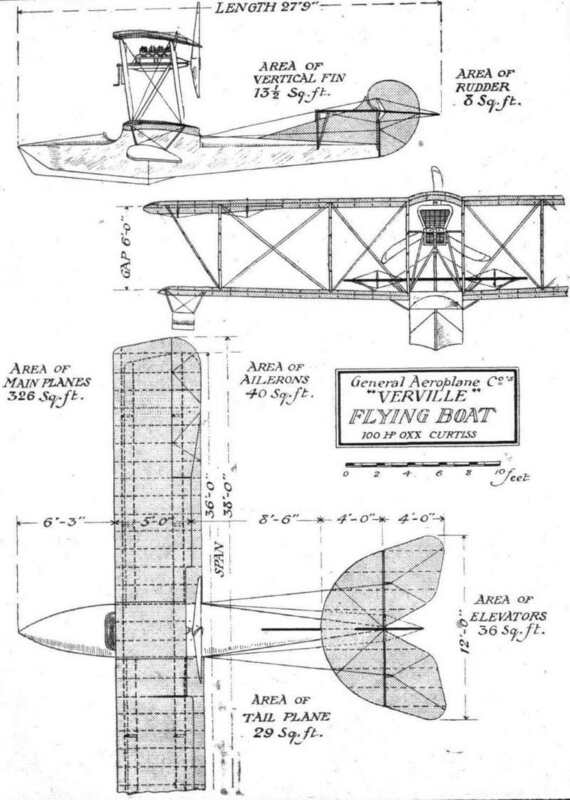 AN INTERESTING EXAMPLE OF A PUSHER FUSELAGE BATTLE SEAPLANE FROM AMERICA - The principal features of this machine, which has been built by the Gallaudet Co. of Norwich, Conn., for the U.S. Navy, consist of the arrow-form wings, and the four-bladed propeller (driven by two 150 h.p. Duesenberg motors) bisecting the fuselage. A clutch connection between each engine and the propeller enables either one or both engines to be used. A speed of 100 m.p.h. is claimed with both engines running, and 70 m.p.h. with one engine. 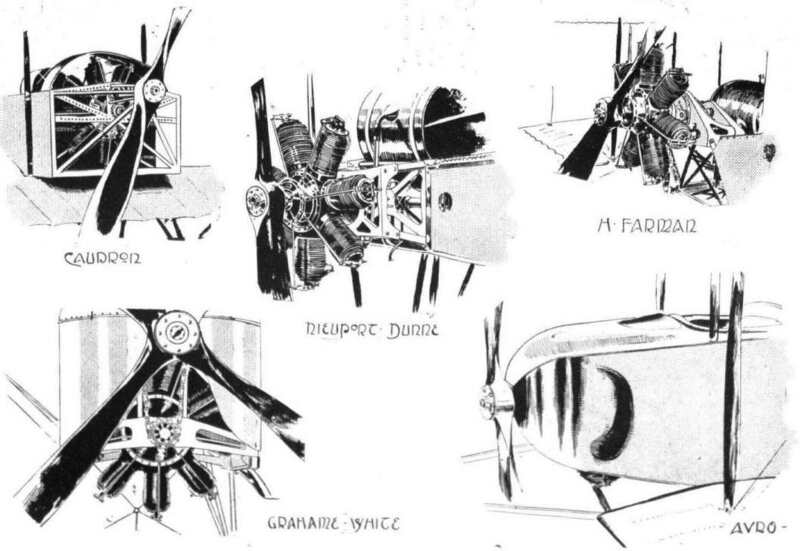 Machines embodying this form of propulsion were designed several years ago by M, Coanda (Bristol), and M. Pateras Peseara, both of which were tested at M. Eiffel's laboratory, whilst other examples are to be found in the Borel and Bleriot pusher monoplanes of 1912-3, and the Grahame-Whlte Military biplane of 1913. The 140 h.p. Sturtevant-motored tractor biplane, one of America's latest machines. It is somewhat larger than usual, and is of practically all-steel construction. 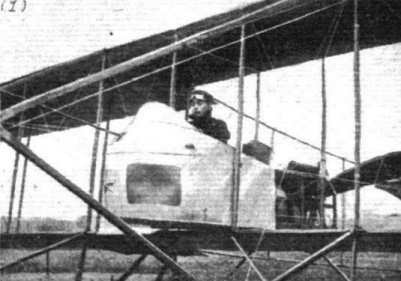 Front view of the Sturtevant Battle biplane showing the gun "turrets" mounted on either side of the body. 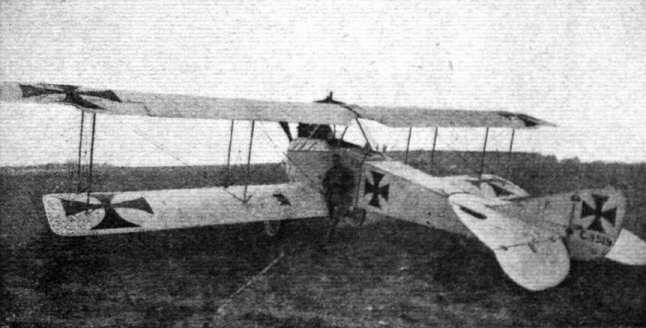 Side view of the new Sturtevant battle-plane, which has accommodation for two gunners on the wings. 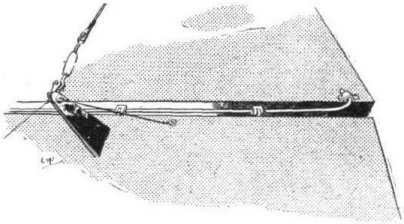 The 140 h.p. Sturtevant Battle biplane in flight. 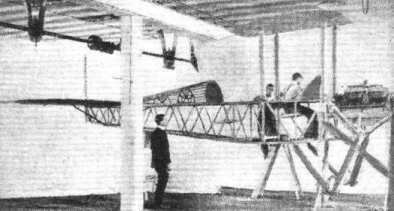 View of the body of the Sturtevant Battle biplane showing the steel construction. 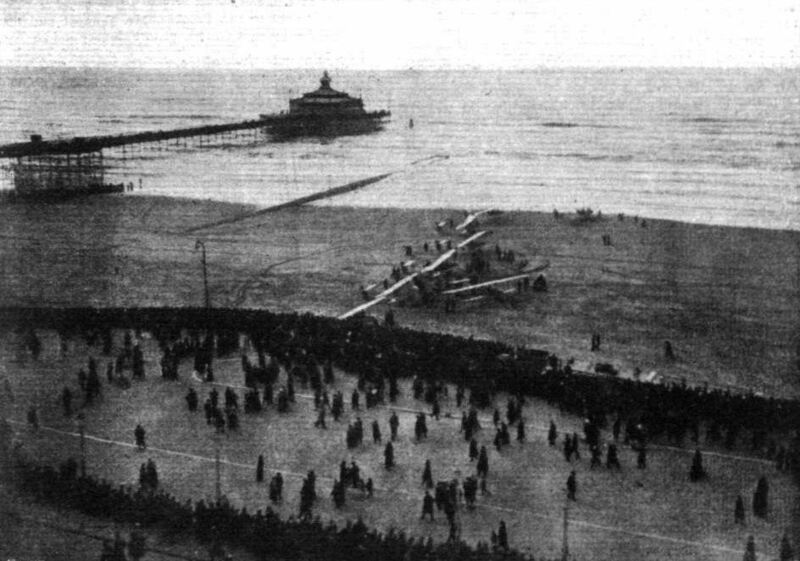 View showing the tail plane and construction of the elevators of the Sturtevant Battle biplane. 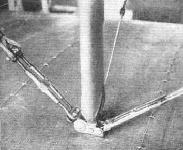 The neat attachment of the bracing cables to the interplane strut on the Sturtevant Battle biplane. A REMINISCENCE OF HENDON. 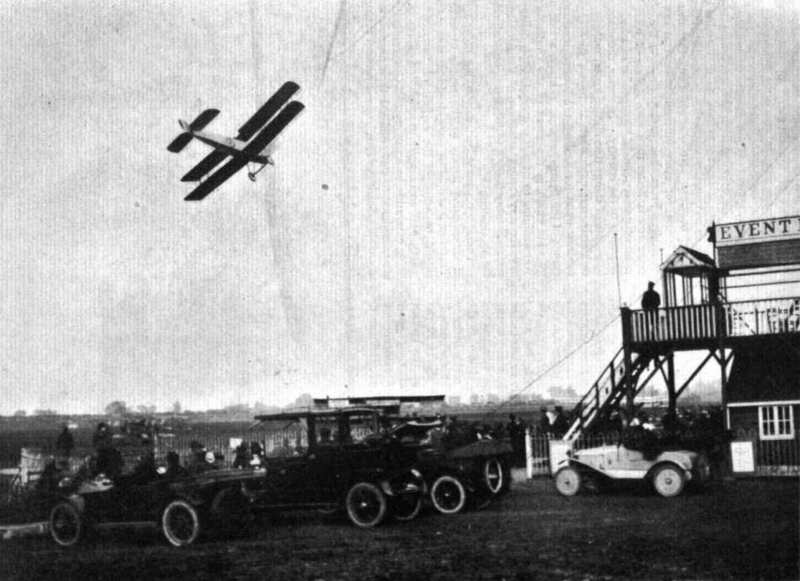 - Mr. Kenworthy, on a Beatty-Wright, returning to the Aerodrome after executing many thrilling evolutions just out of the range of the camera. The late Sir Hiram S. Maxim, whose name is so well known throughout the world as an inventive genius. 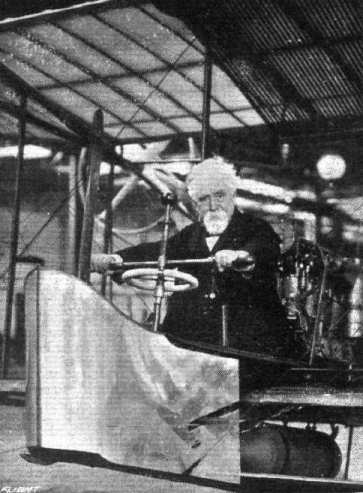 Sir Hiram is seen at the control gear of the aeroplane which he designed and built in 1910. AVIATION IN JAPAN. - Japanese military aviator Lieut. Takeda, in the pilot's seat of the latest army biplane (M. Farman type) which he has been flying at Tokorozawa aerodrome. REMINISCENCES OF HENDON. - Rene Desoutter on a Caudron. 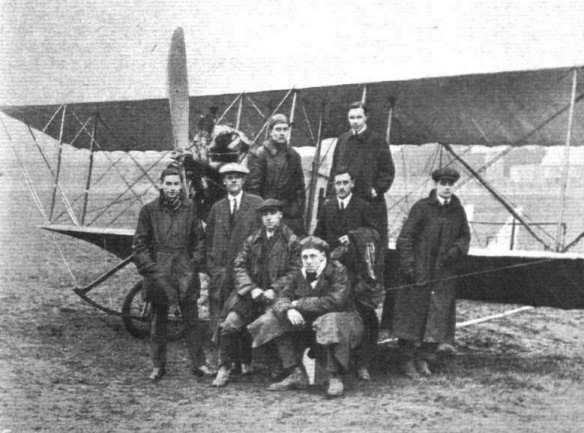 A group of some of Instructor C. M. Hill's pupils at the Hall Flying School, Hendon, in front of an all-British built Caudron, the engine being a 70 h.p. Isaacson, and the propeller an Ebora. Mons. Passat and his hand-operated flapping-wing model to which reference was made in "FLIGHT" some weeks ago. 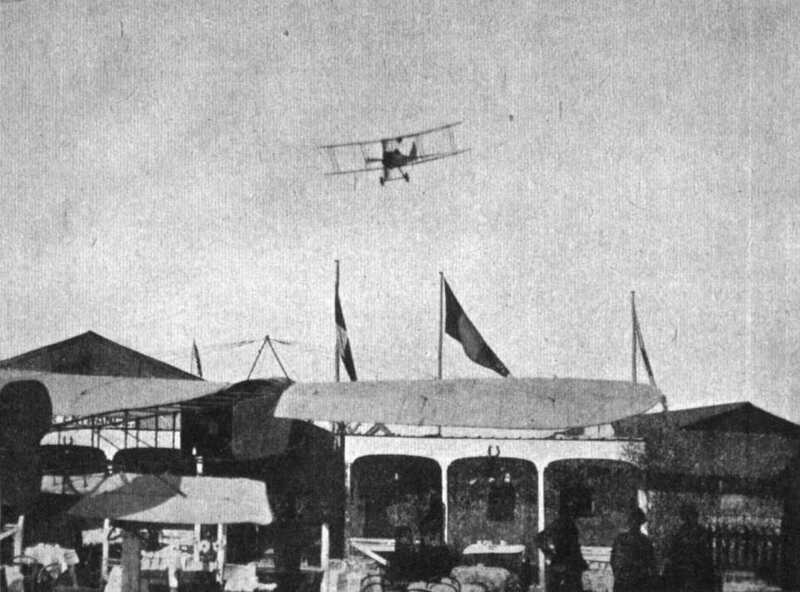 Two views of Mr. Wong's biplane on the Kuala Lumpur racecourse at Selangor, Federated Malay States. 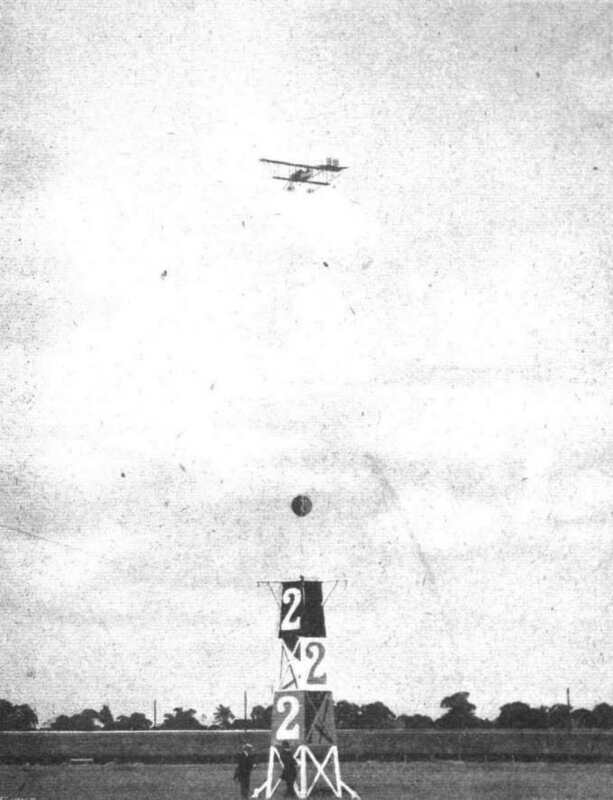 AN UNFORTUNATE EXHIBITION FLIGHT BY MR. WONG'S BIPLANE AT SELANGOR. 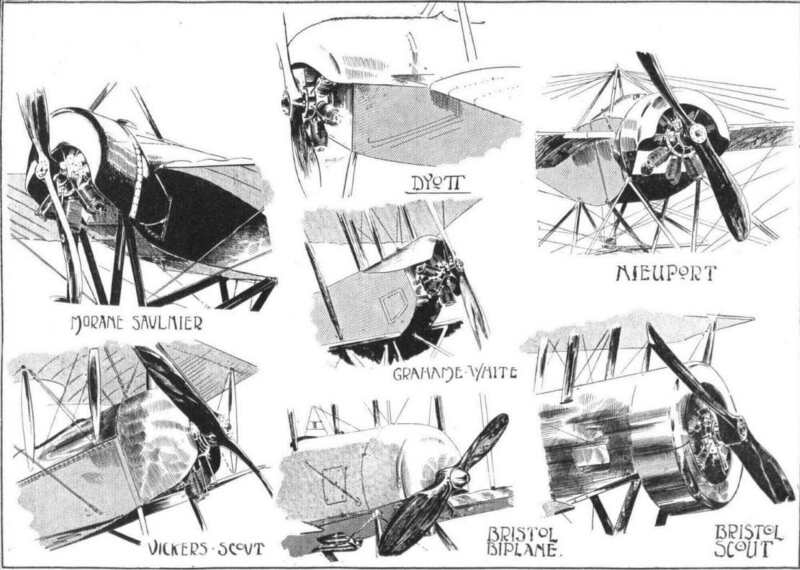 - From left to right the pictures show the start, in full flight, and the smash. SEAPLANE AND SUBMARINE. - A study. 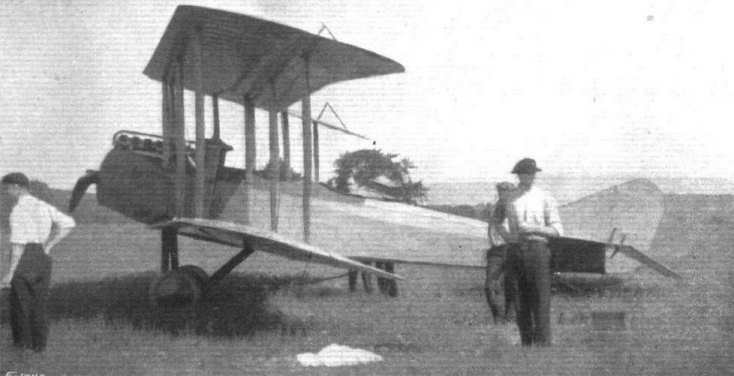 ONE OF THE LATEST CHRISTOFFERSON TRACTOR BIPLANES FITTED WITH 125 H.P. HALL-SCOTT MOTOR. - The Chinese Government has placed an order for 25 similar machines. 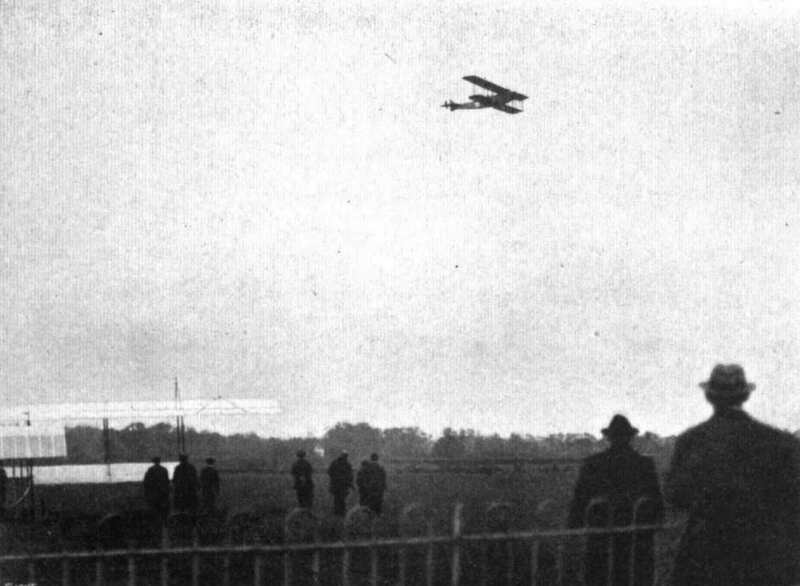 A finishing glide at Hendon Aerodrome by Mr. Sydney Pickles, on one of the Curtiss machines. 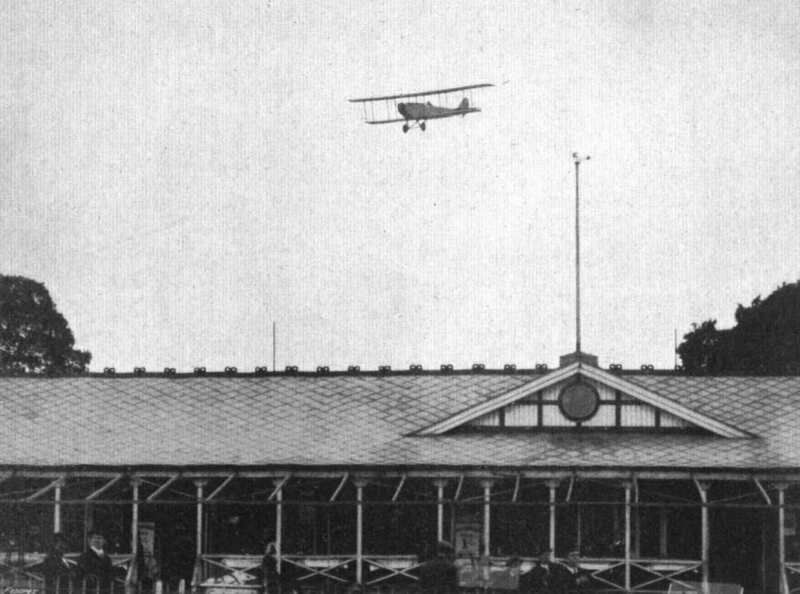 Mr. Sydney Pickles flying a Curtiss at Hendon Aerodrome. AVIATION IN JAPAN. - Three-quarter front view of the 70 h.p. 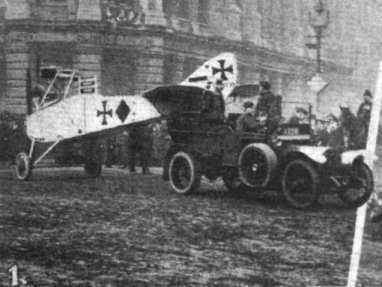 army biplane No. 6 at Nagoya parade ground. 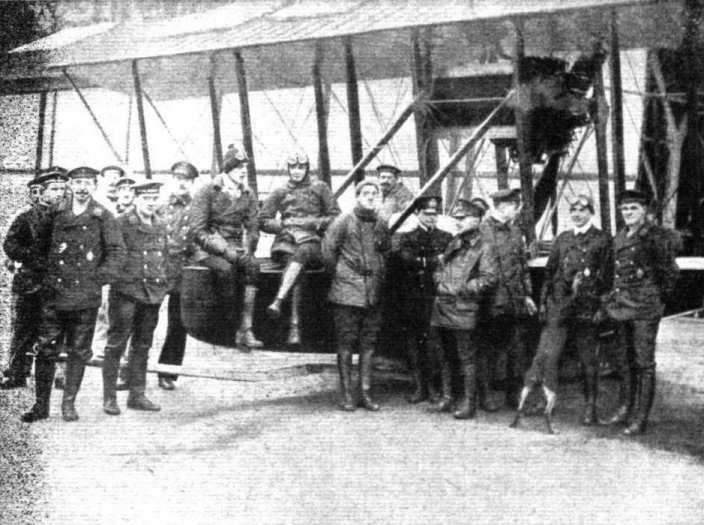 The Mann biplane M.1, and some of those who helped to build her. 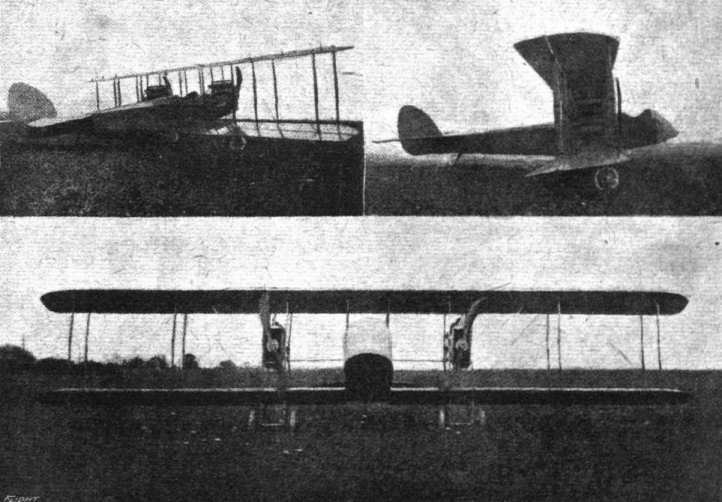 Two views of a Goedecker Military Biplane. 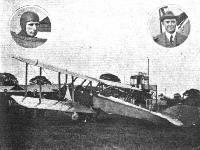 The large biplane is one of the new twin engine machines, fitted with two 160 h.p. motors at the Atlantic Coast Aeronautical Station at Newport News, Virginia. 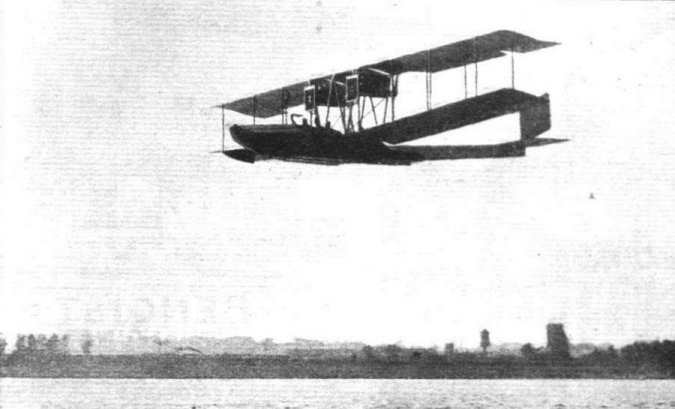 THE CURTISS TWIN-ENGINE HYDROBIPLANE. - On this machine Victor Carlstrom, on August 25th last, put up a new American distance record, flying a circular route between Newport News and Cape Charles of 661 miles in 8 hrs. 41 mins. The weather was bad, and he carried as passenger a mechanic, whose services, however, were not called upon throughout the trip. A couple of views of a well-made scale model of the Simolex-Mayo tractor - constructed from the scale drawings in "FLIGHT." A Reminiscence. 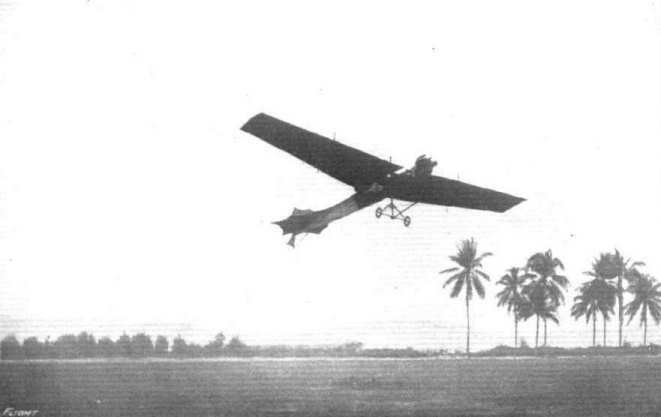 - An Antoinette monoplane flown by a Dutch pilot at Selangor, Federated Malay States, in 1911. THE LATEST ANfERICAN "TWIN" BATTLEPLANE. - Built by the Atlantic Aircraft Co., it has a span of 48 ft., and a supporting area of 550 sq. ft. The chord and gap are 6 ft. and 7 ft. respectively, and the length is 28 ft. 6 3/4 ins. Two 90 h.p. Aeromarine engines are installed, and the speed range is 50-85 m.p.h. AT HENDON. 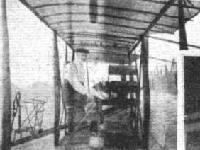 - Mr. C. Grahame-White on the new three-seater passenger 'bus. Three-quartet front view of the 60 h.p. Ruffy-Baumann school biplane. 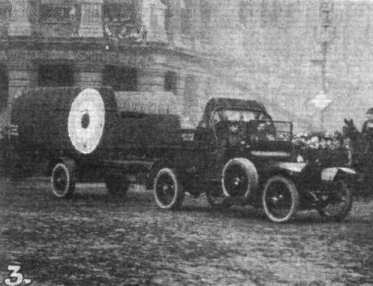 Three-quarter rear view of the 60 h.p. Ruffy-Baumann school biplane. AN EVENING SCENE AT HENDON. - E. Baumann on a Ruffy-Baumann with a passenger. The rear engine support of the Ruffy-Baumann biplanes. 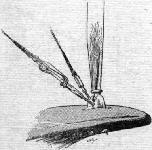 Inset is shown the ball joint of the bracing rods to the collar on the engine shaft. 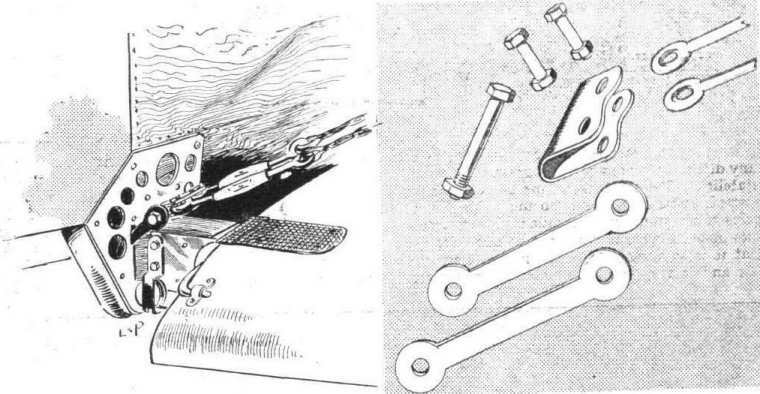 Sketch showing how the lower longerons are secured to the inner interplane struts on the Ruffy-Baumann biplanes. 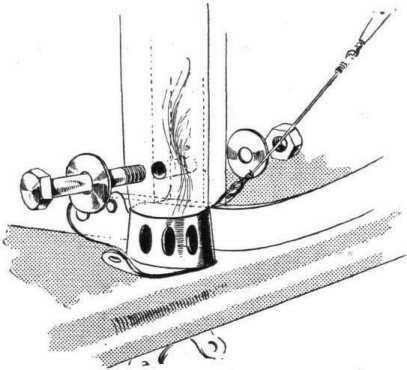 Interplane strut sockets on the Ruffy-Baumann biplanes. Attachment of the chassis struts to the leading edge on the Ruffy-Baumann biplanes. 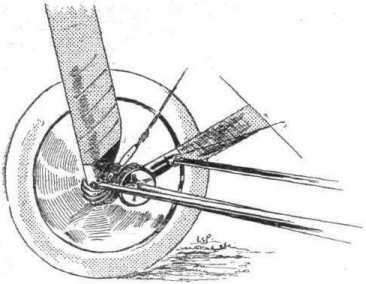 Attachment of the tail booms to the rear spar of the top plane on the Ruffy-Baumann biplanes. 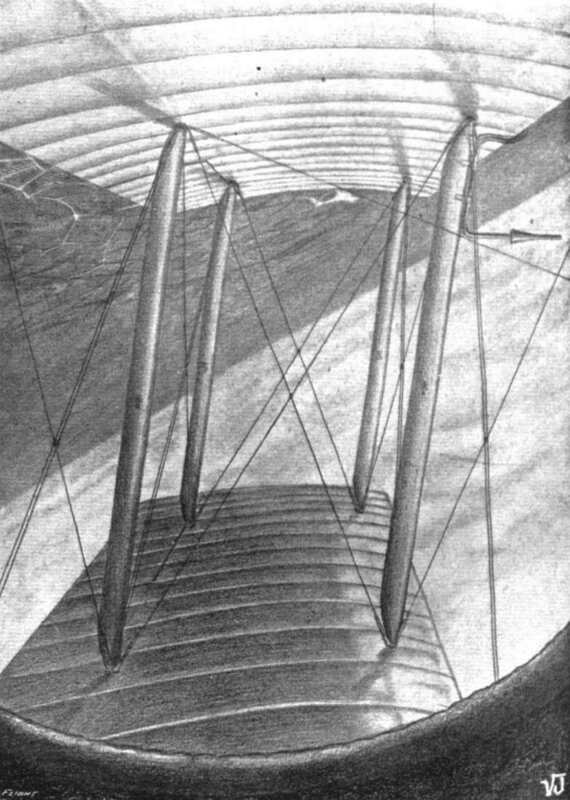 Sketch showing the shock absorbing arrangement on the Ruffy-Baumann biplanes. The wheels and chassis struts have been omitted for the sake of clearness. 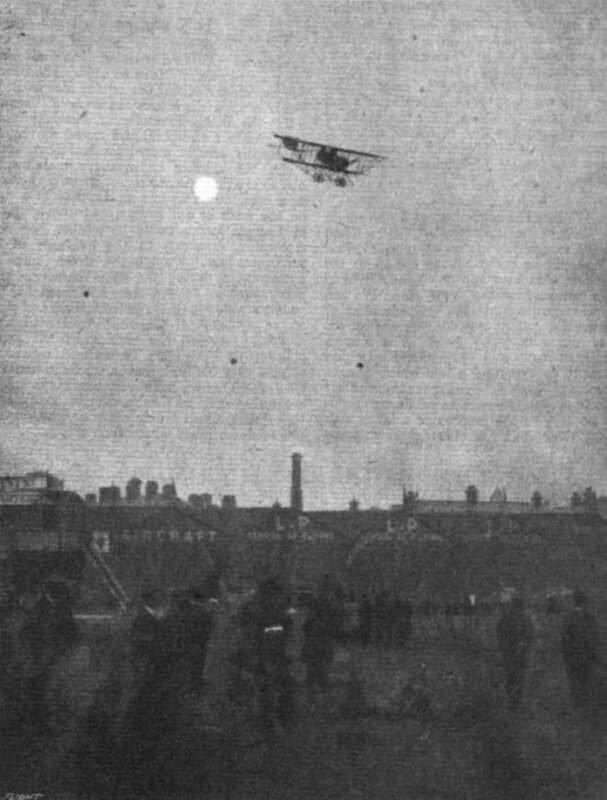 The Burgess machine in flight at Hendon. A new twin-engined "battleplane," intended, it is stated, for the U.S. Army, has just been completed at Sunnyvale, California. 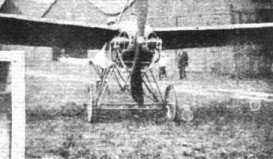 As the photograph shows, it is of the fuselage tractor type, with the engines mounted on the wings. The machine weighs about two tons, and has a span of 72 ft. and an overall length of 40 ft. It is expected that she will carry nine or ten passengers. 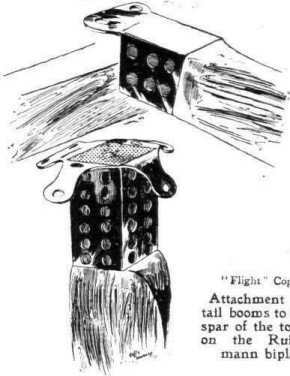 A pecularity of this machine is the biplane type of ailerons, which can be seen in the illustration. A closer view of the two engines of the new American "battleplane." Each of these is of 120 h.p. The mounting, It will be noticed, is of a somewhat unusual form, and does not look any too strong, while apparently offering a fair amount of resistance. The military two-seater tractor equipped with a 160 h.p. engine at the Atlantic Coast Aeronautical Station at Newport News, Virginia. 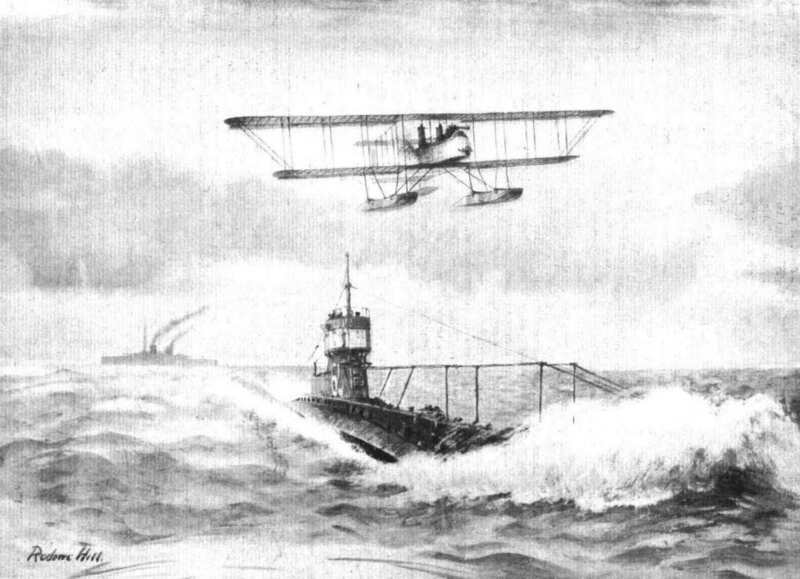 A drawing of the new giant Curtiss fighting seaplane. Comparison of the (Fig. 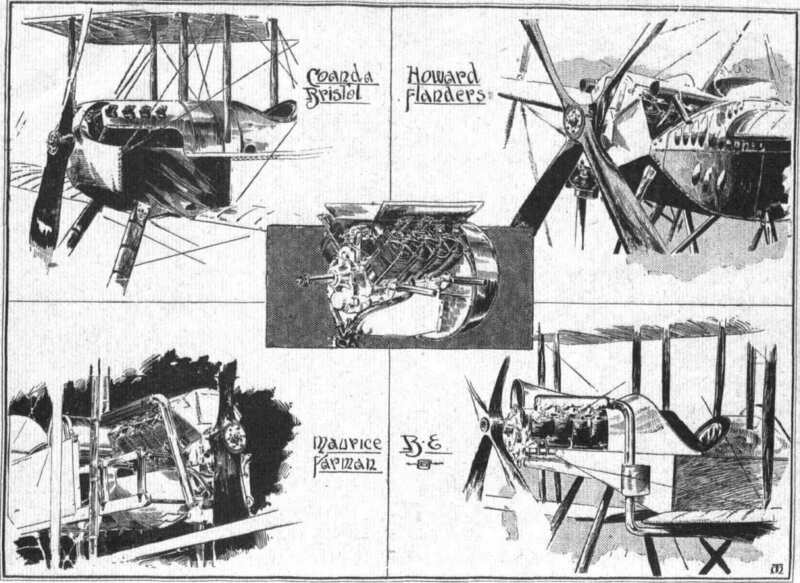 1) new Curtiss fighting seaplane with (2) the America, and (3) the standard Curtiss seaplane. Fig. 4 shows a side elevation of the new seaplane. Front view of the M.F.P. 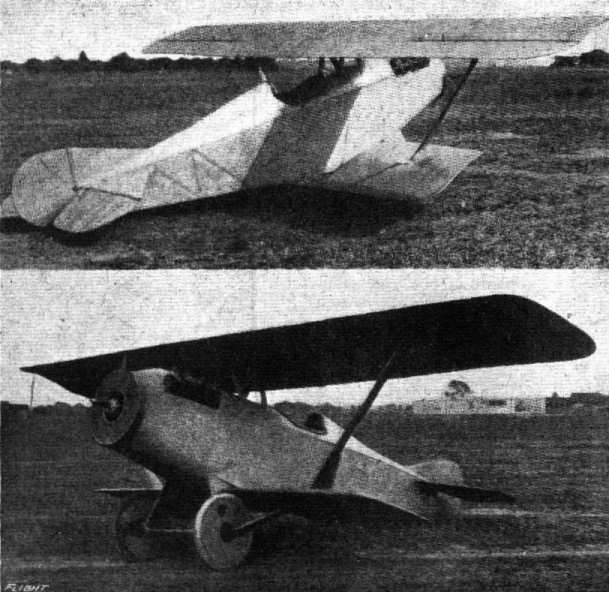 model B 2 biplane. Rear view of the M.F.P. 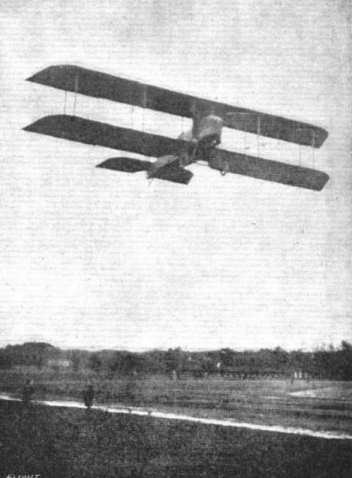 model B 2 biplane. Two views of the M.F.P. 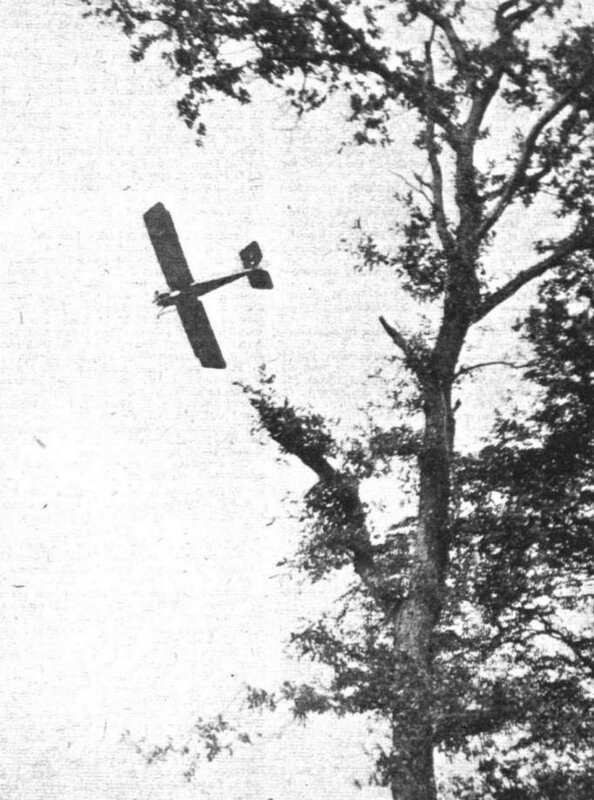 biplane in flight. THE M.F.P. 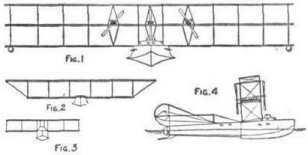 MODEL B 2 BIPLANE - Three views showing the construction of the fuselage and main planes. THE M.F.P. 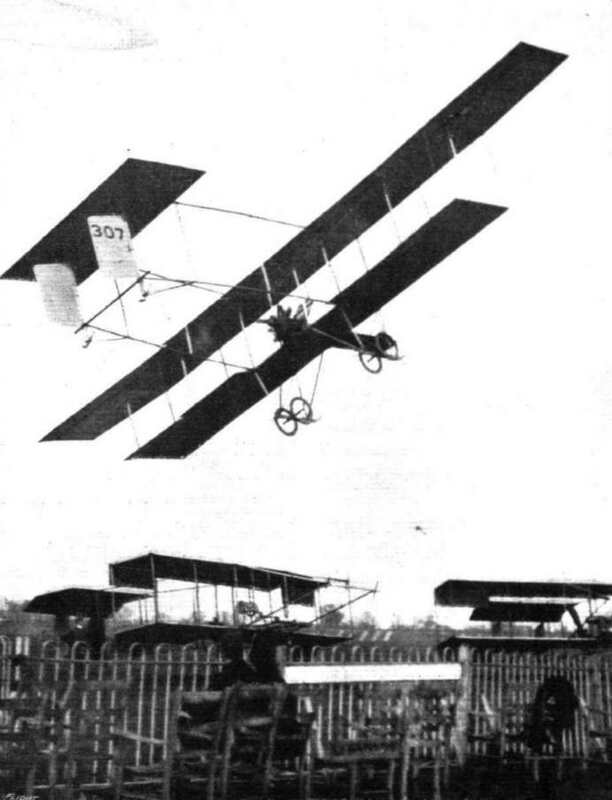 MODEL B 2 BIPLANE. - Plan, side and front elevation to scale. 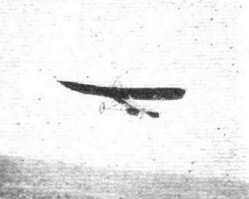 The model "C" Benoist twin-engined flying boat in flight. 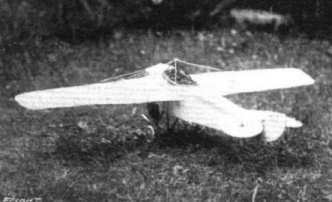 Three-quarter rear view of the model "C" Benoist twin-engined flying boat. 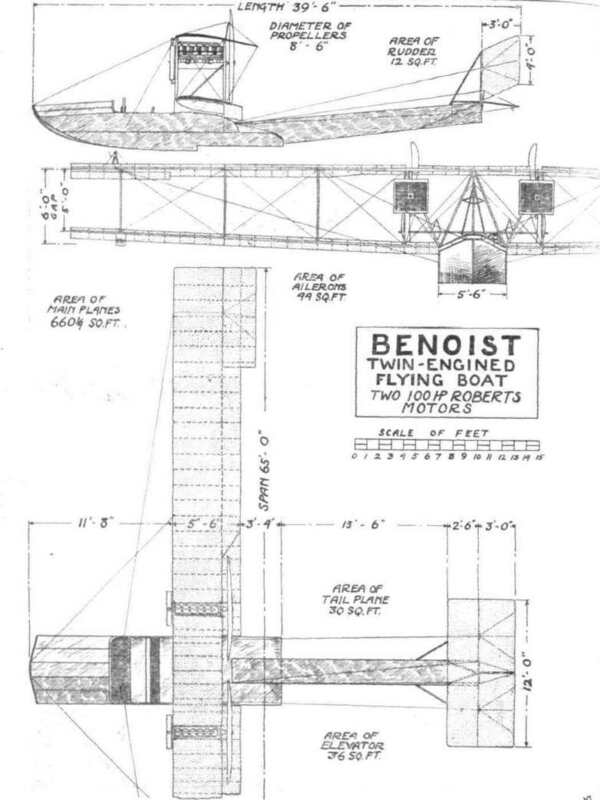 View showing the boat and engines of the model "C" Benoist flying boat. 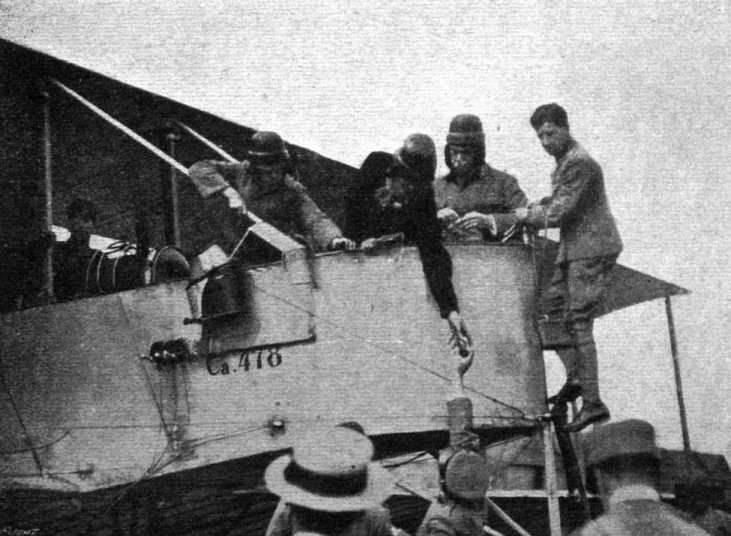 A passenger on the new Benoist flying boat takes a photo, of the cockpit and its occupants whilst in flight. 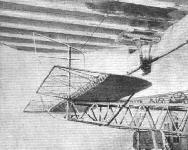 THE MODEL "C" BENOIST TWIN-ENGINED FLYING BOAT. - Plan, side and front elevation to scale. 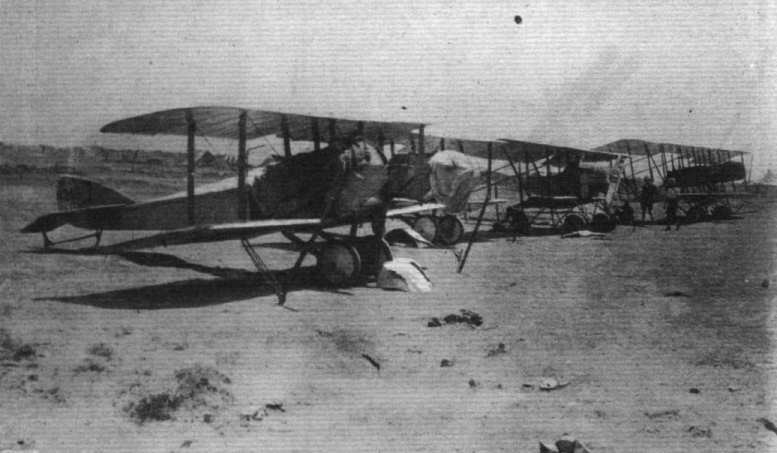 THE ASHMUSEN AEROMOTORS IN ACTIVE SERVICE. 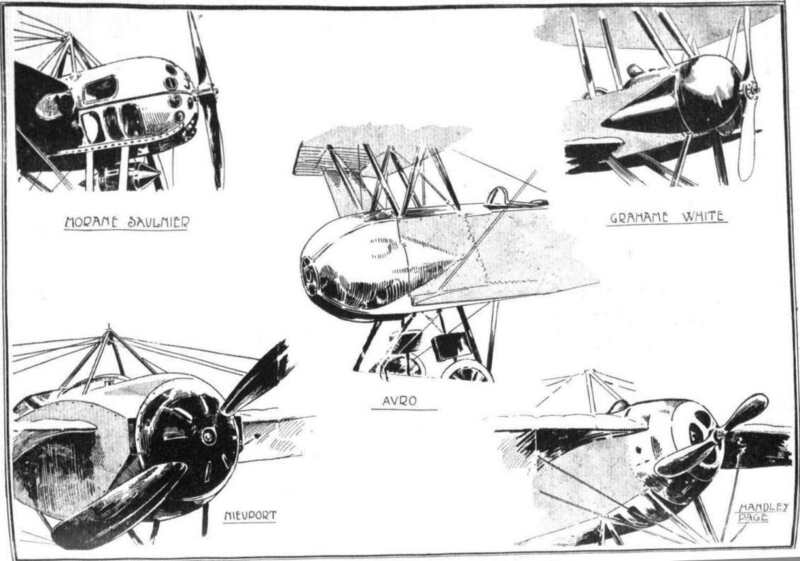 - The Antonelli monoplane with 8-cyl. plant. A German flying boat, type F.F.21, and some naval pilots and mechanics. - The machine is curiously like the big Sopwith bat boat exhibited at the last Olympla Aero Show, even to the engine, which appears to be similar to the Salmson. The similarity is so striking as to admit of only two explanations: either the machine is a captured Sopwith or a copy of the Sopwith built by the Flugzeugbau, Friedrichshafen. 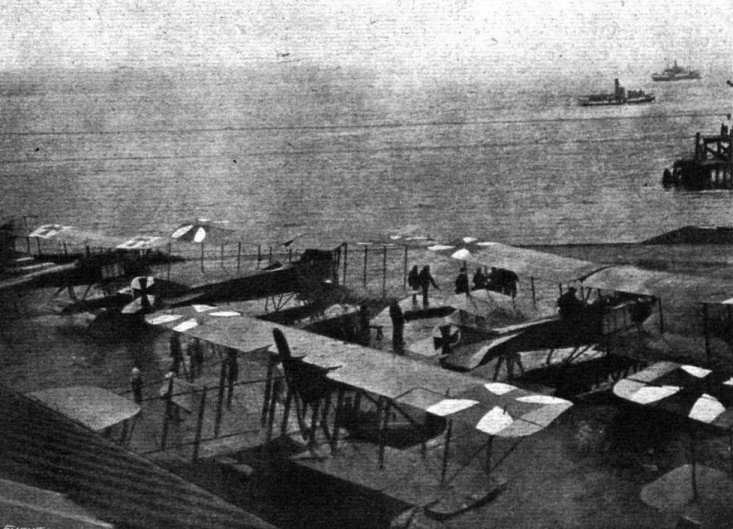 A BATCH OF GERMAN SEAPLANES AT AN AIR STATION ON THE NORTH SEA COAST. - In the foreground will be seen a bat boat of the Sopwlth type. 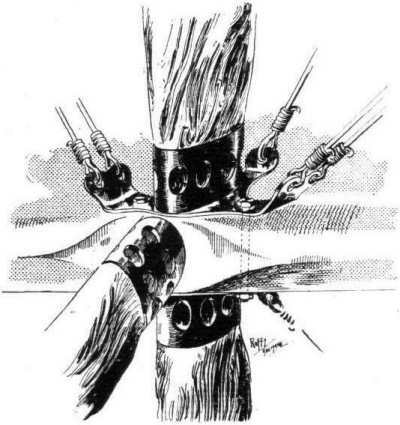 Two views of the body of the C.E. Transcontinental trlplane in course of construction. THE C.E. 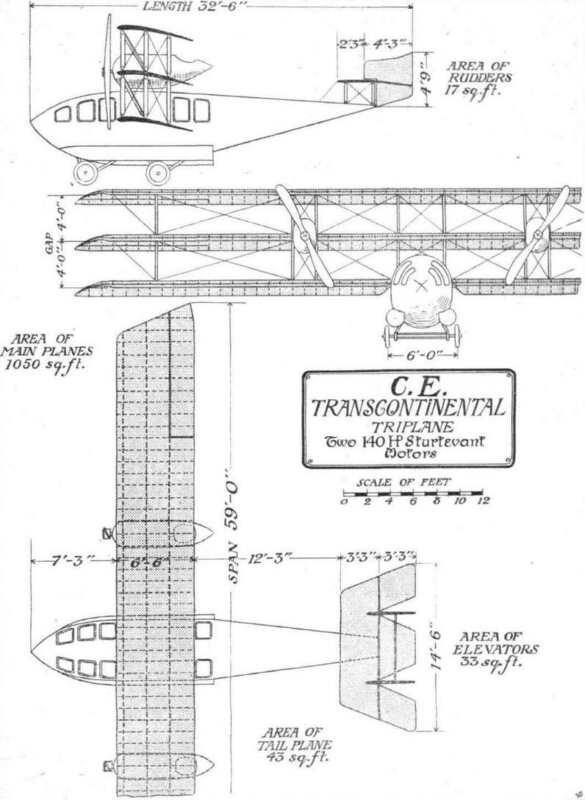 TRANSCONTINENTAL TRIPLANE. - Plan, side and front elevation to scale. 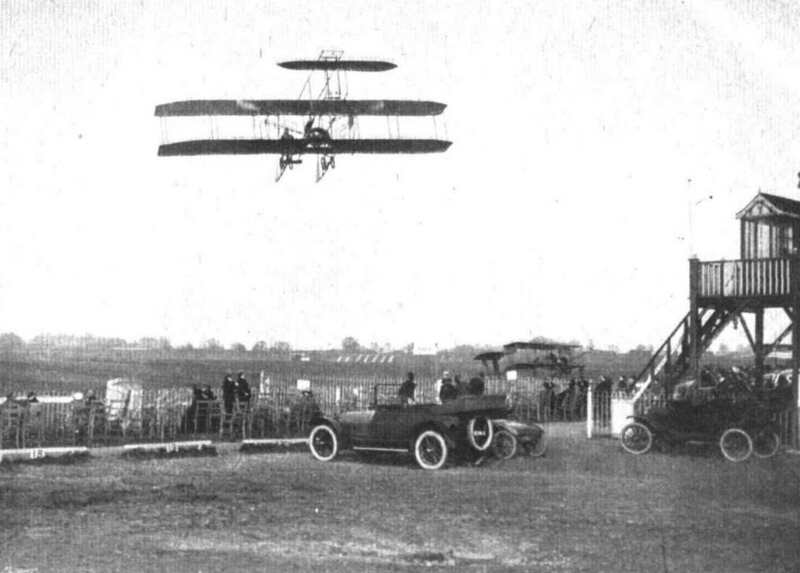 The Richardson tandem-plane, twin-motored hydro-aeropiane being tried near Washington, D.C. Two Robert motors are used. Mr. George A. Gray is the pilot. 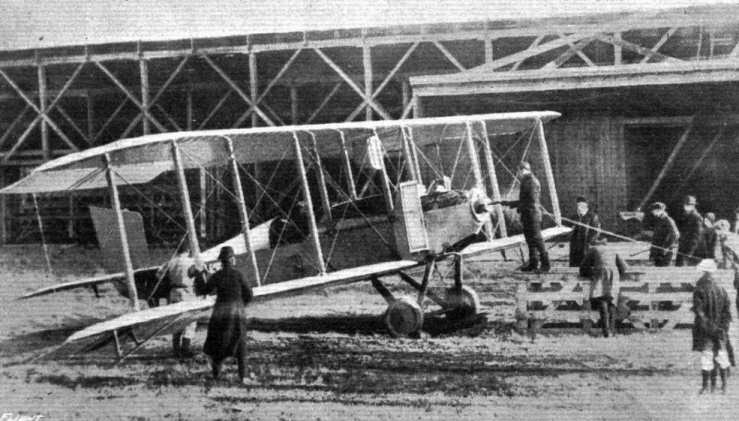 Three-quarter rear view of the L. and P. biplane. 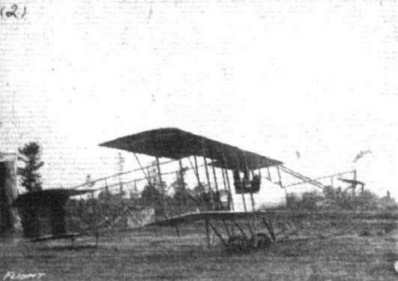 Side view of the L. and P. biplane. 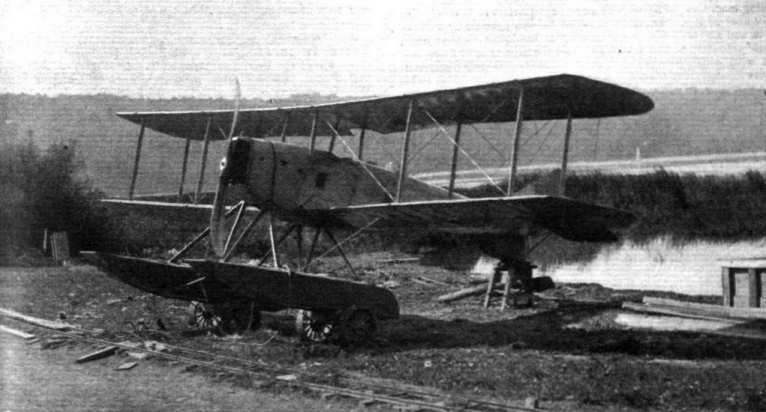 Three-quarter front view of the L. and P. biplane. 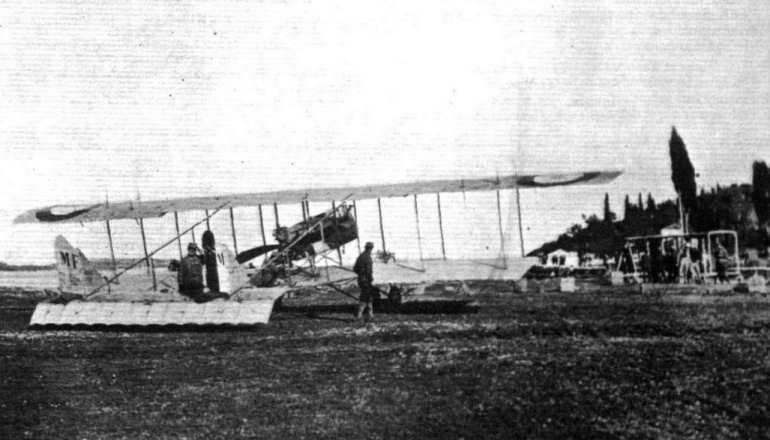 Front view of the L. and P. biplane. 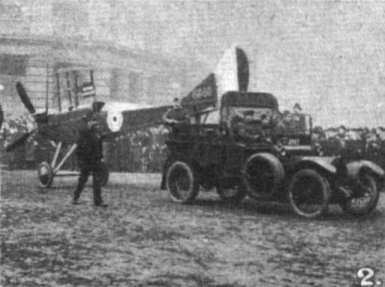 Rear view of the L. and P. biplane. Chassis and engine mounting of the new L. and P. biplane. AT HENDON AERODROME . 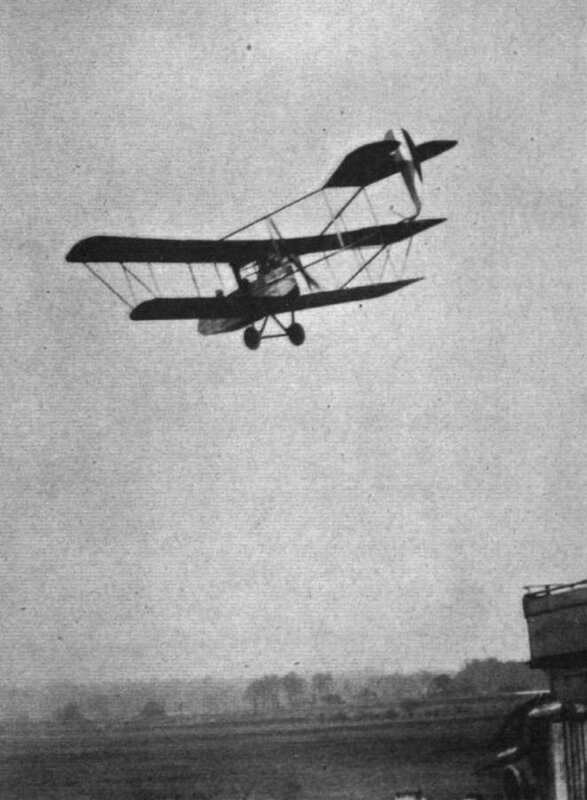 - Mr. W. T. Warren, jun., on the L. and P. biplane returning to the 'drome after a looping-the-loop bout. The instrument board of the L. and P. biplane. LOOPING WITH SMILES IN THE L. AND P. BIPLANE AT HENDON. - What a broadside view from a looping biplane looks like. As each loop is made the horizon line revolves round the centre of vision in a clockwise direction. 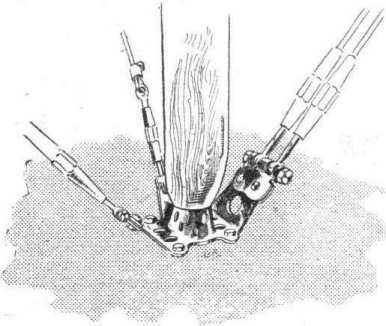 One of the strut sockets of the L. and P. biplane. 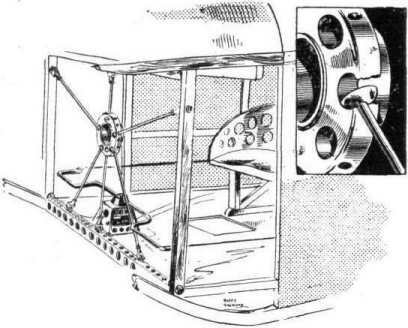 The tail skid of the L. and P. biplane. 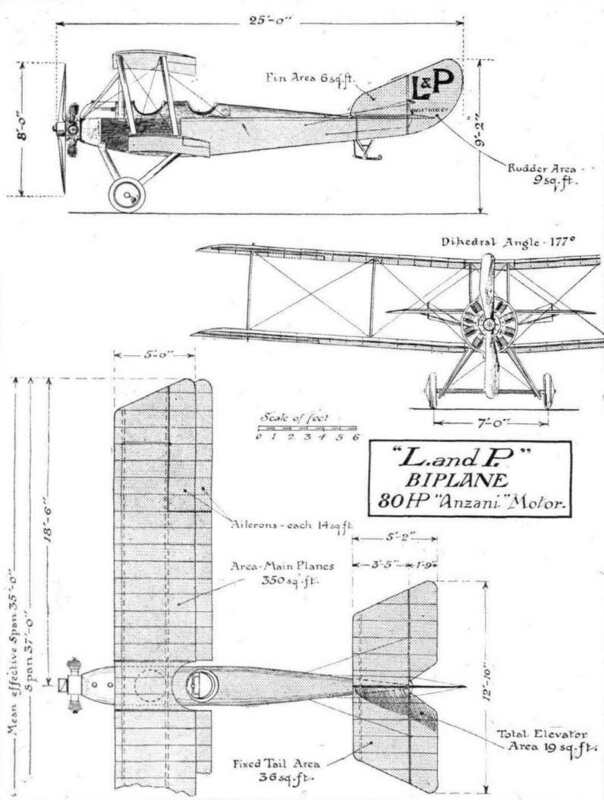 Details of the chassis of the L. and P. biplane. Elevator crank lever and hinge on the L. and P. biplane. 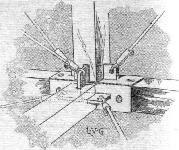 ATTACHMENT OF L. AND P. WING SPAR TO CENTRE SECTION OF LOWER PLANE. - Inset analytical sketch of the anchorage for the main lift cables. Another L. and P. Strut Socket. 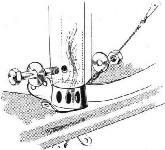 Inset is shown how bolts are halved into side of spar. THE NEW L. AND P. FUSELAGE BIPLANE. - Plan, front and side elevation to scale. 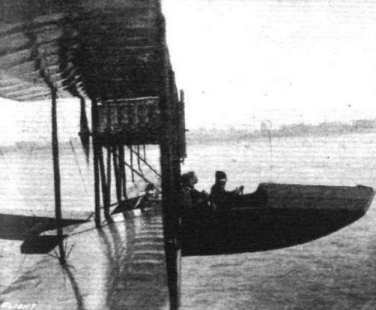 A general view of the General Aeroplane Co's flying boat. 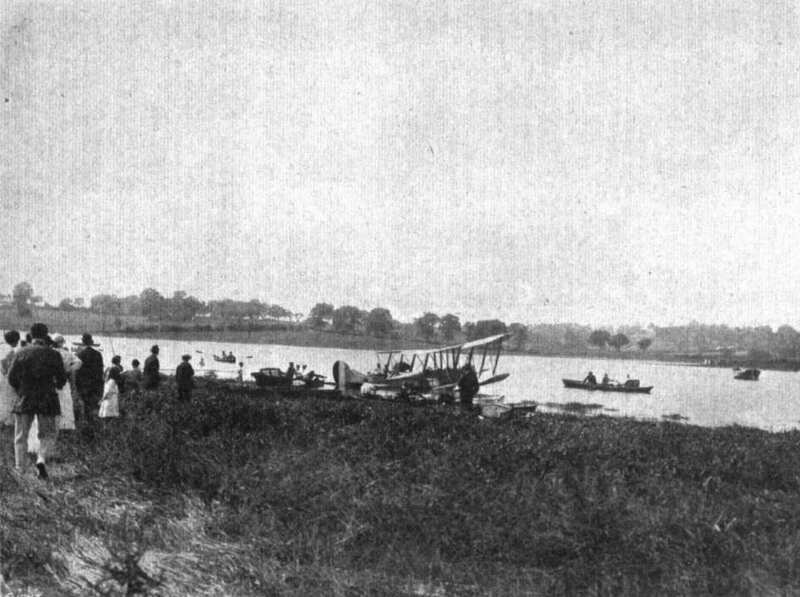 The General Aeroplane Co.'s flying boat taxying on the water. 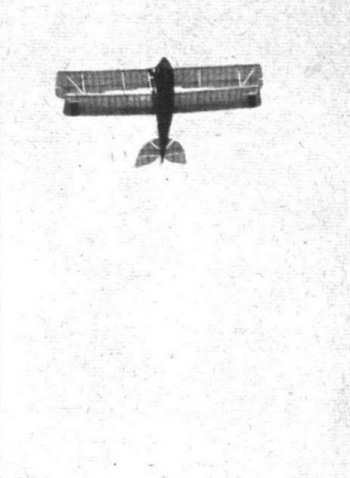 View from below of the General Aeroplane Co.'s flying boat in flight. 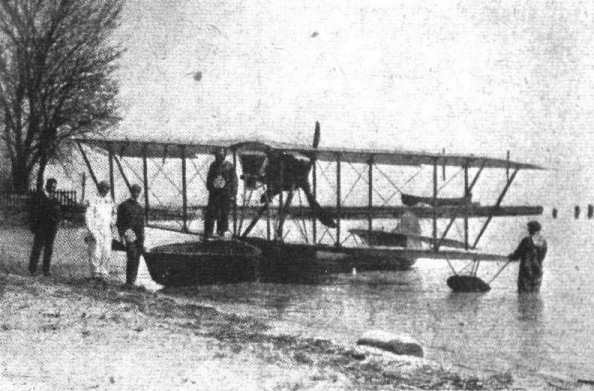 THE GENERAL AEROPLANE CO.'S FLYING BOAT. - Plan, front and side elevation to scale. 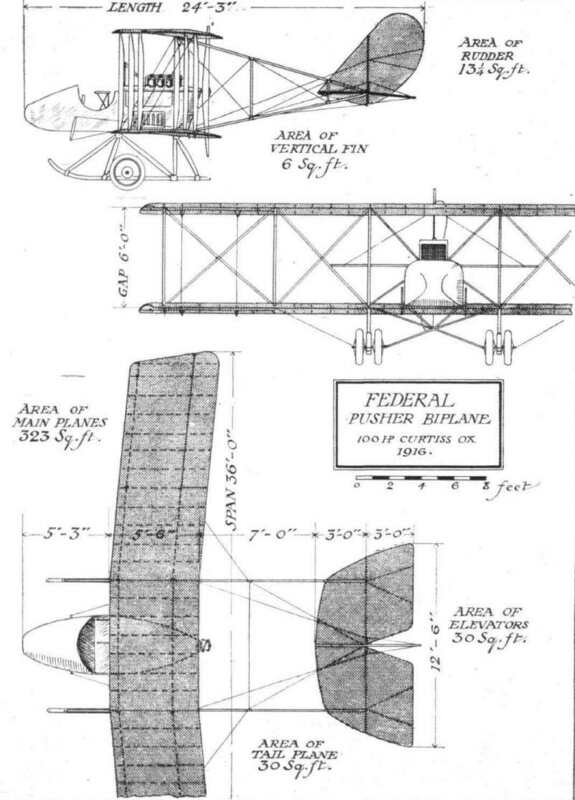 THE FEDERAL PUSHER BIPLANE. - Plan, side and front elevation to scale. The 100 h.p. 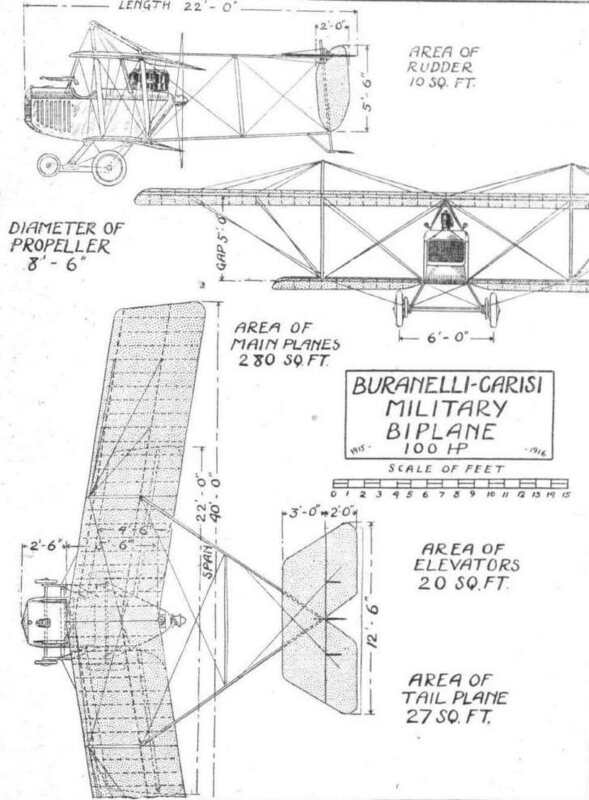 Buranelli-Carisi pusher biplane in course of construction.. THE 100 H.P, BURANELLI-CARISI PUSHER BIPLANE. - Plan, side and front elevation to scale. THE NEW THOMAS MILITARY TRACTOR BIPLANE, TYPE D2. - Fitted with one of the new 135 h.p. Thomas aeromotors, this machine is said to have attained a speed of 102 m.p.h,, which constitutes, it is claimed, an American record. Frank Burnside poses with the D-2. 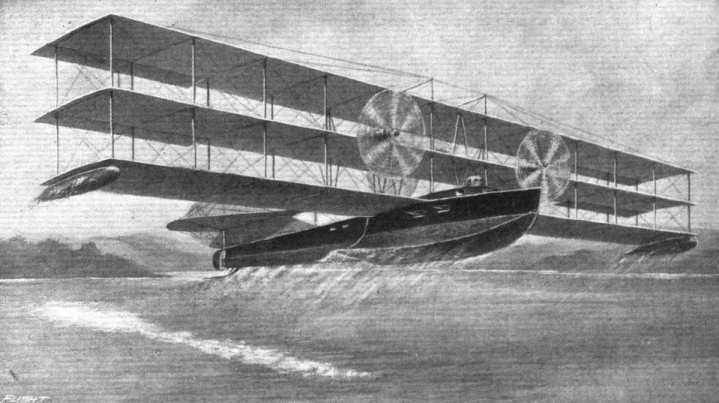 The Thomas seaplane (type H.S. ), as being employed by the U.S. Navy at Pensacola, Florida. During tests the average speed developed, with and against the wind, was 82 m.p.h. over a 5-mile course. 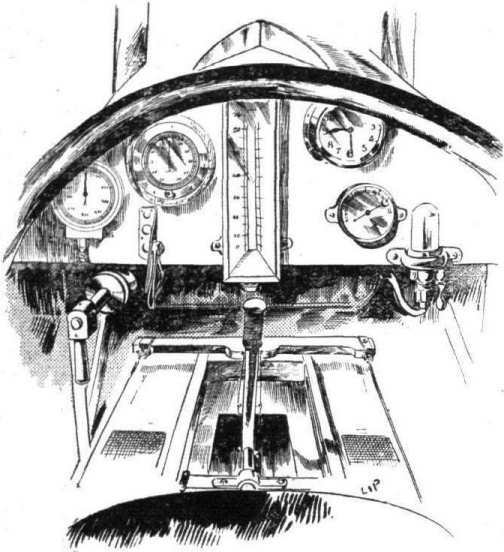 The machine was piloted by Mr. Frank Burnside, who had with him as passenger and official timer Lieut. Saufly. With the machine fully loaded, the climb was 450 ft. per min, while the gliding angle is stated to have been 1 in 10.2, but the direction of the wind is not stated. BACK FROM A SCOUTING EXPEDITION OVER THE NORTH SEA. - The pilot is being carried ashore from his craft on returning. The machine is of the F.F. 19 type. (The letters F.F. mean Flugzeugban Friedrichshafen, the German Naval Aircraft Factory.) In the background will be seen two other machines of a similar type.